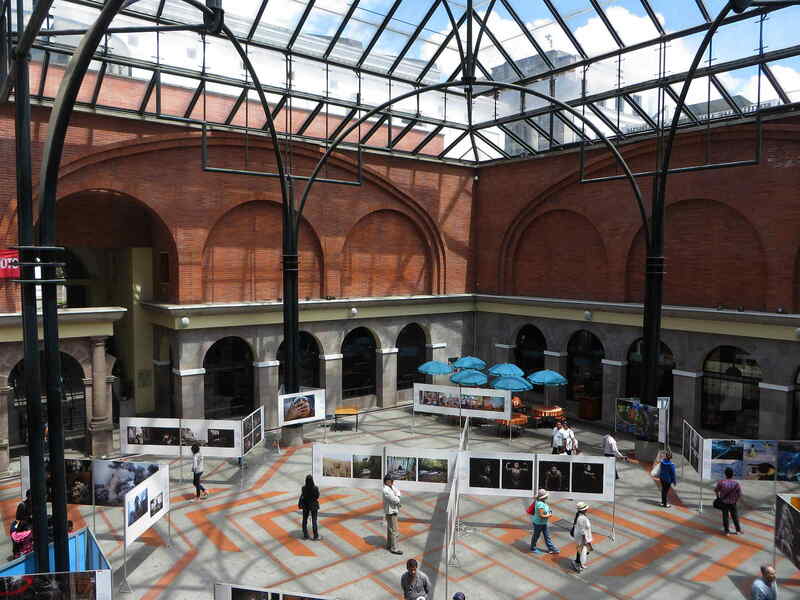 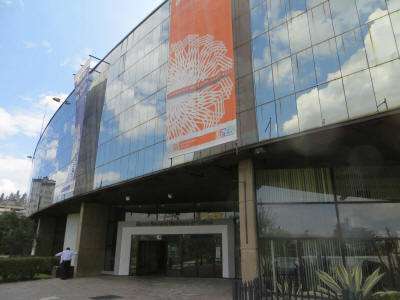 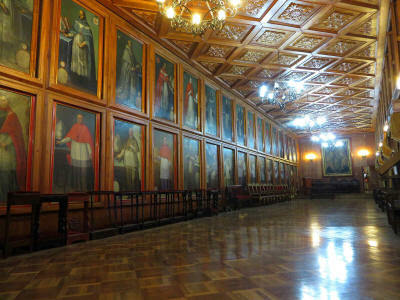 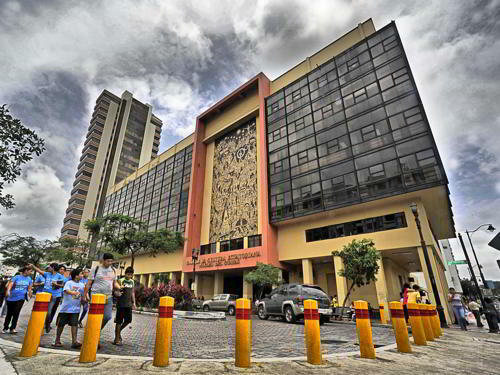 ECUADORIAN MAJOR MUSEUMS LIST: 100 EXHIBITS, ADDRESSES, PUBLIC HOURS & TOURIST ATTRACTIONS Archeaology, Colonial, Indigenous & contemporary Art, Natural history, Theme Parks, Zoos, Etc., varying from world class to fun local museums. 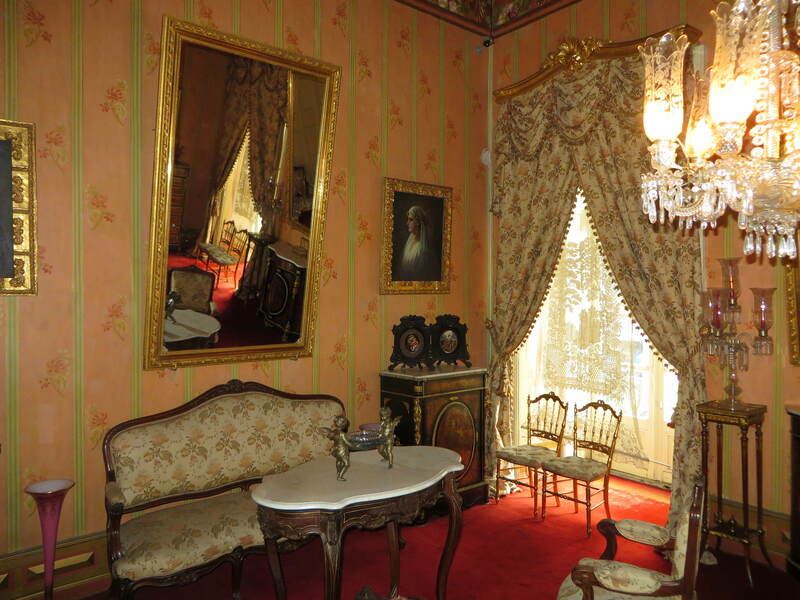 For instance, the to non-Latin-Americans rather unknown liberator is honored in his former mansion, Casa Sucre. 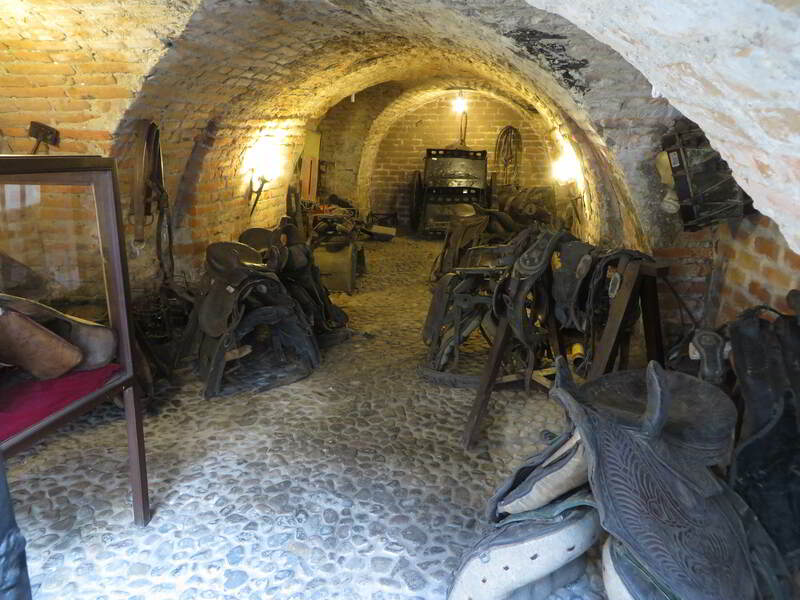 Moreover, this lovely museum gives you an idea how noble families lived in the 18th and 19th centuries. 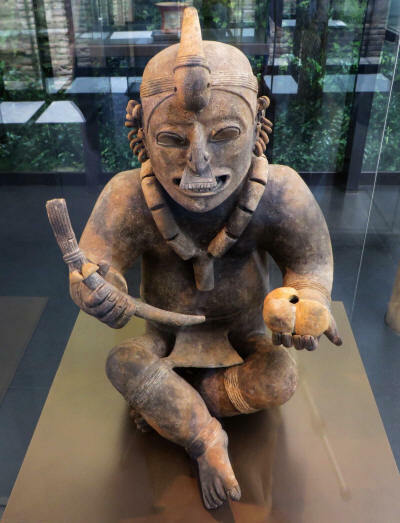 The many archaeological museums give you a perspective of pre-Colombian history and makes you realize that there was much more than just the Incas. When you visit the Botanical garden, the Vivarium, or one of the zoos, you get to see some of the highlights of the rainforest, that you usually don't get to see when in the jungle. When visiting Ecuador it is a must to go and see a few exhibits on Ecuador's culture, history and nature. 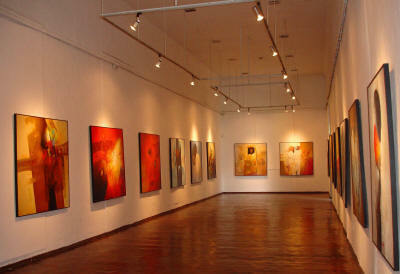 But which one to chose???? 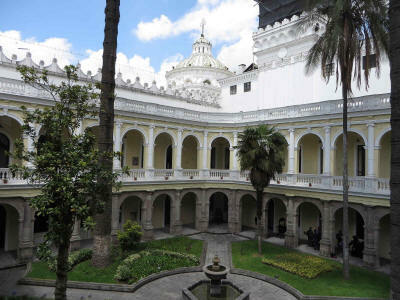 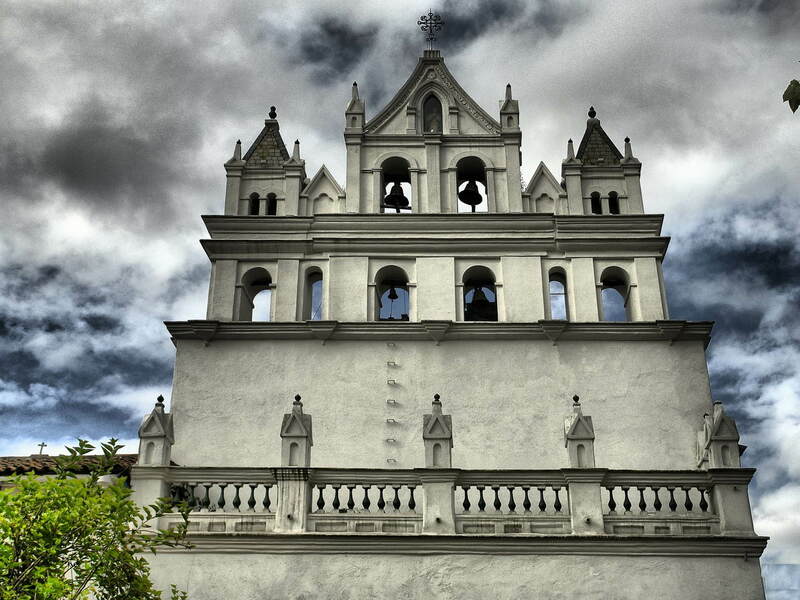 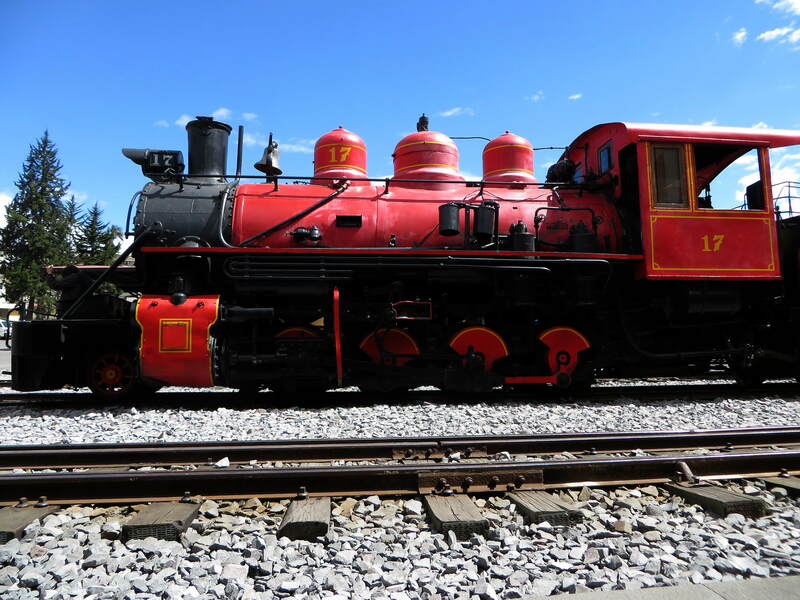 We help you make a selection by listing most museums in Ecuador & tourist attractions. Cultural caf�, with many living art expression. Entry free, consumption expected. 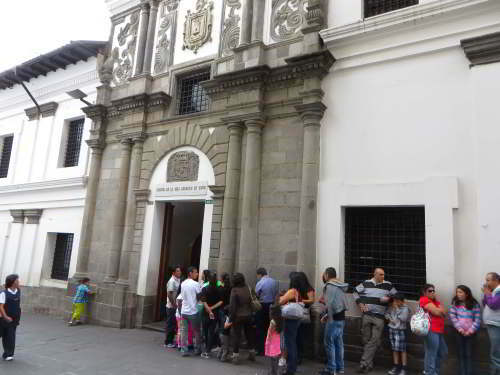 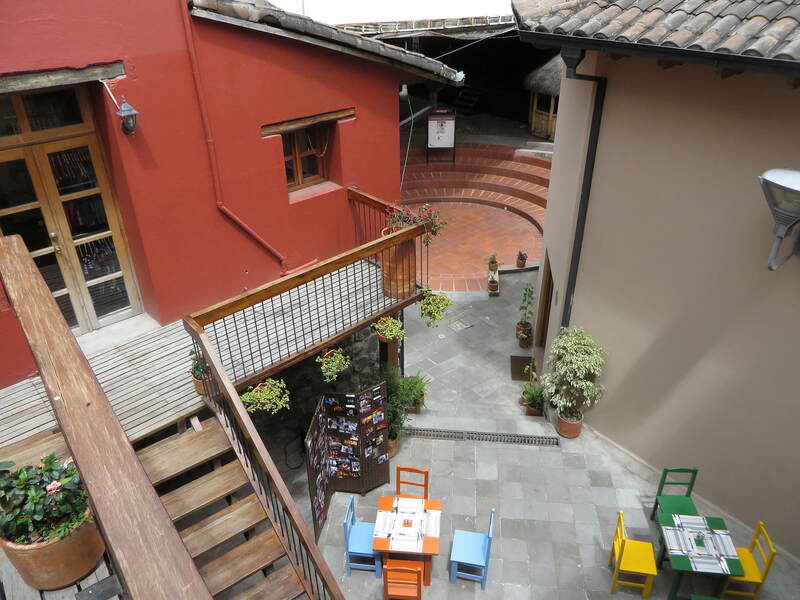 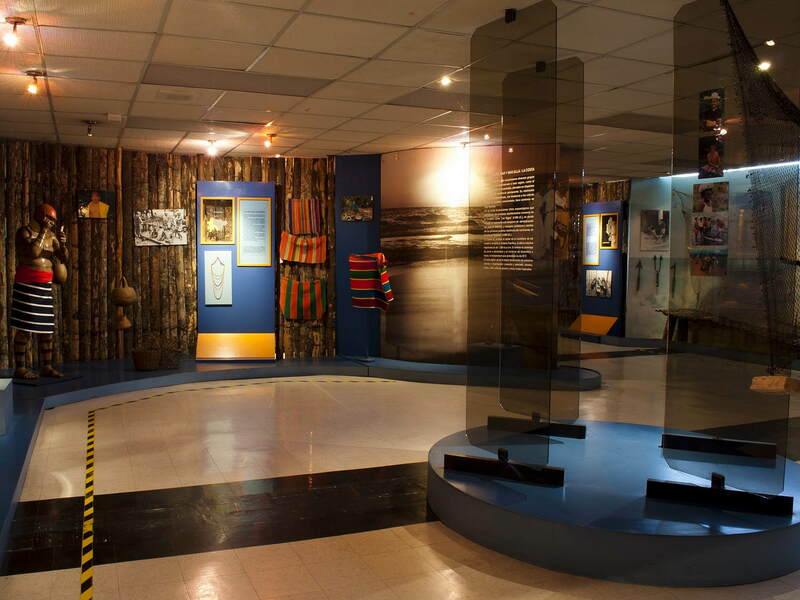 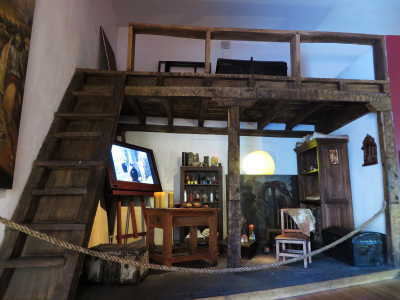 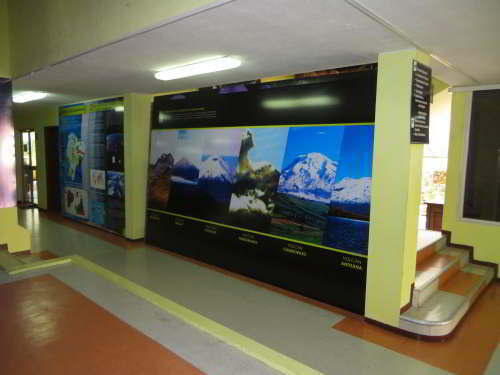 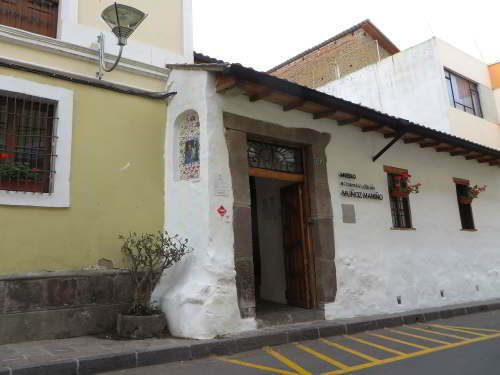 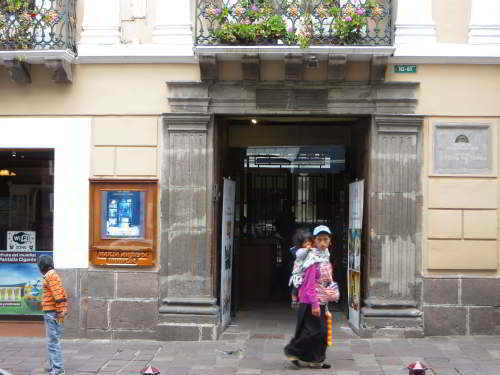 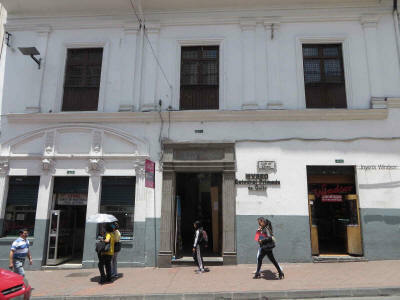 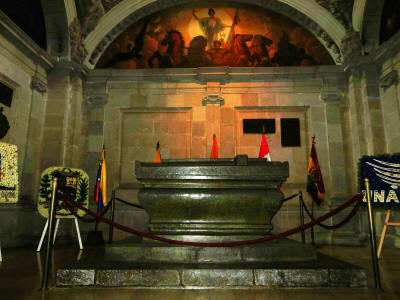 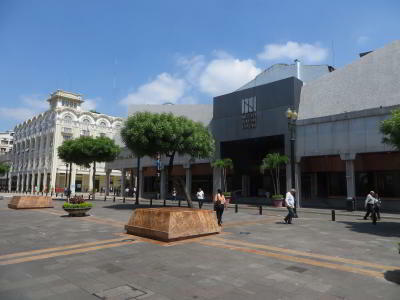 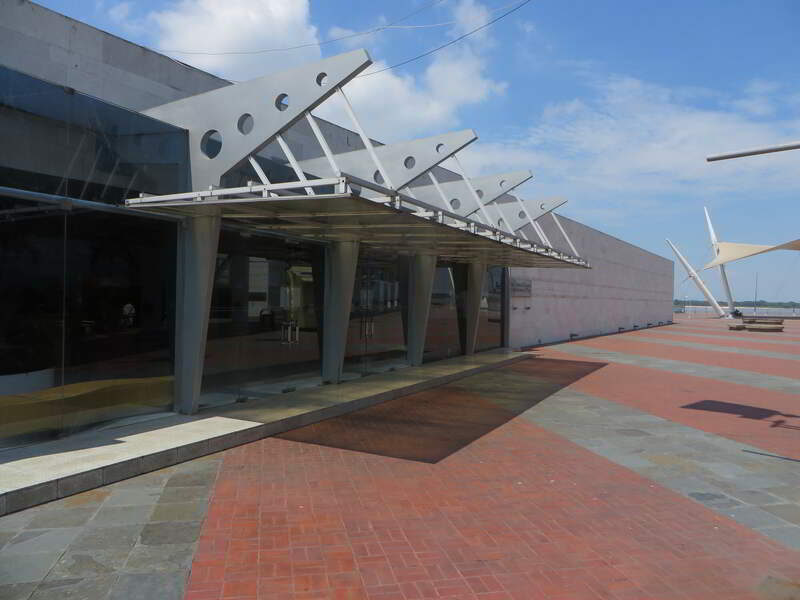 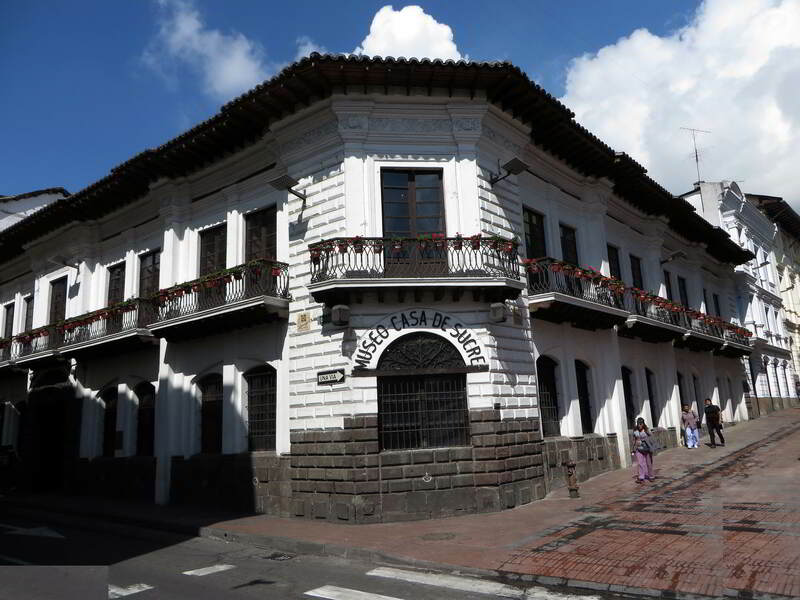 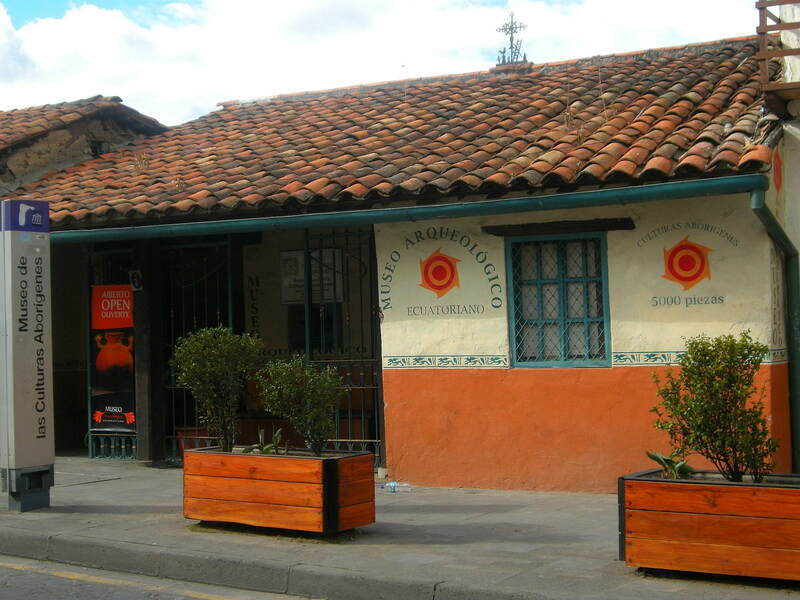 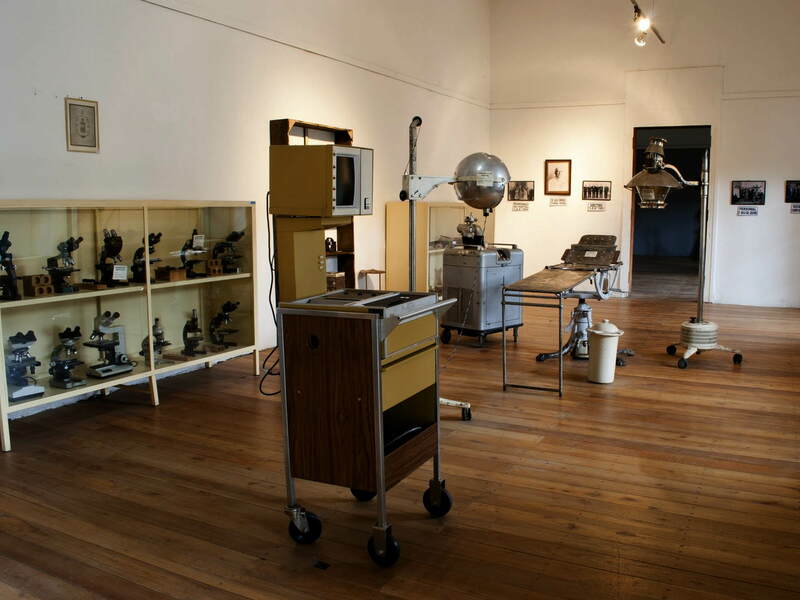 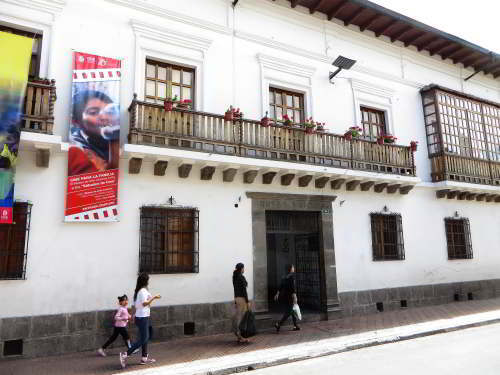 Museum dedicated to Quito's hero Manuela S�ez. 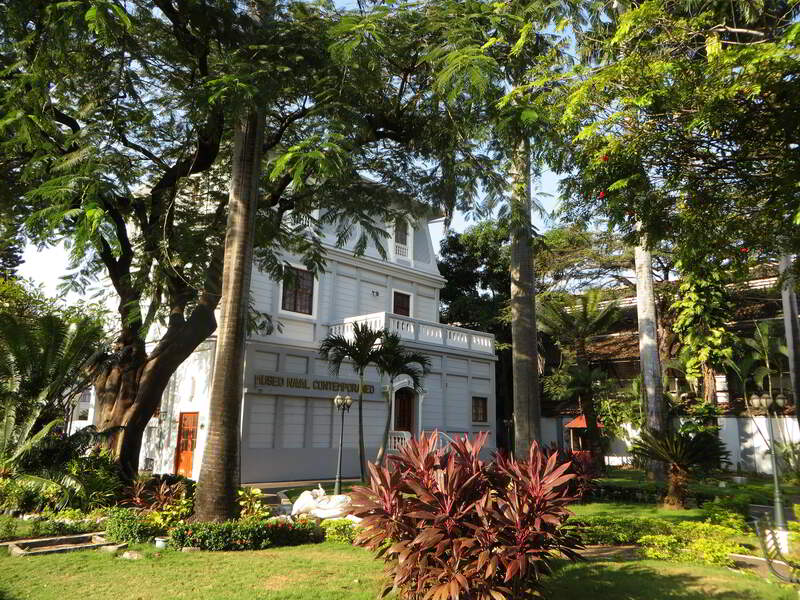 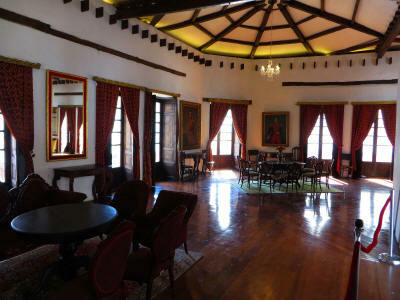 Historical mansion with exposition dedicated to Mar�a Augusta Urrutia, giving an impression of the lives of the colonial nobility and art of Victor Mideros. One of the finest colonial mansions, from the street, the Mar�a Augusta Urritia House-Museum appears rather inconspicuous. 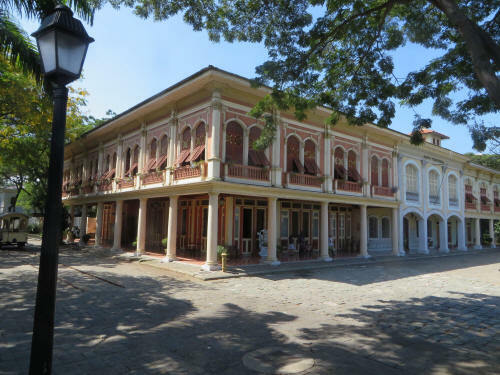 Located on the Garc�a Moreno street just past the Jesus Compa��a church, this museum is a must to see for a brief walk-in visit to get an impression on how the upper-class lived in the 19th and early 20th centuries. 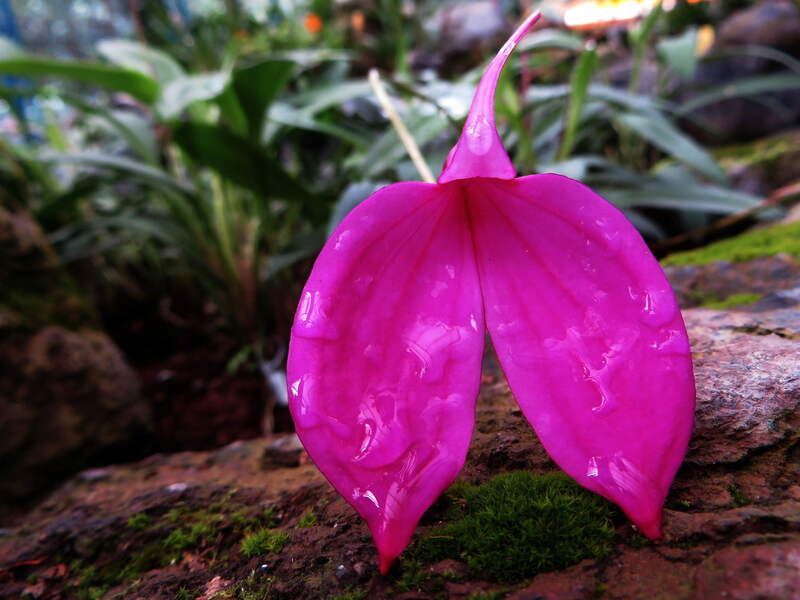 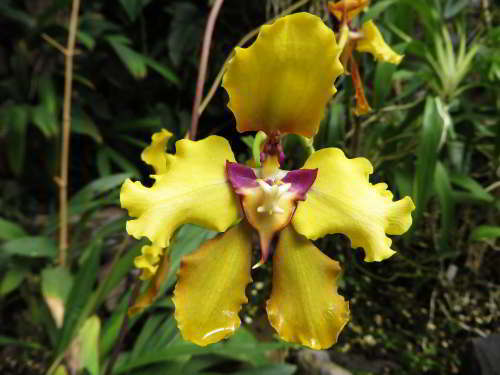 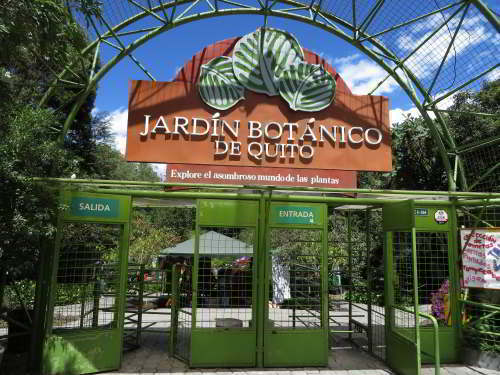 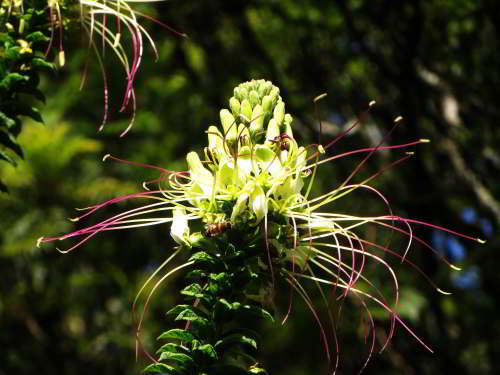 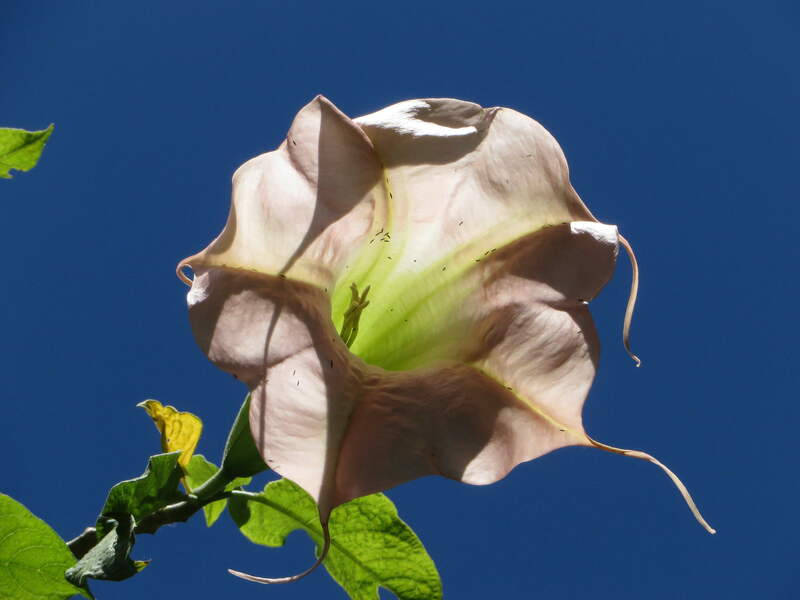 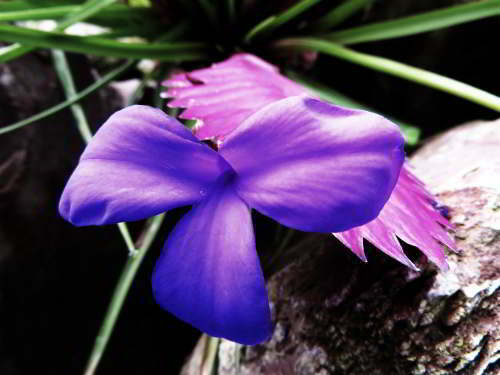 The Botanical Garden of Quito in the Carolina Park has a great selection of incredibly beautiful native flowers you will have difficulty finding in the wild. 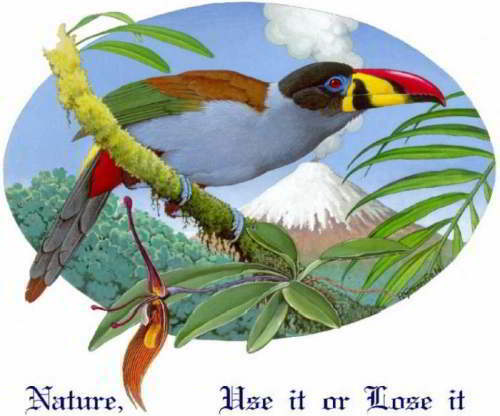 A must for every ecotourist. 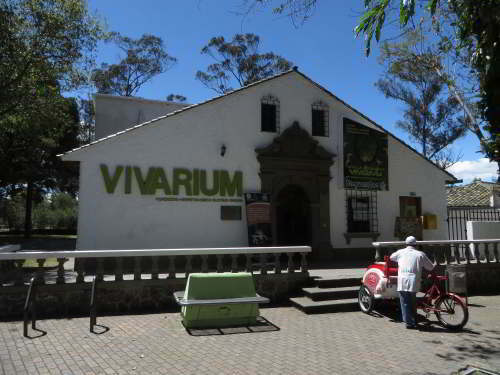 As they are all within 100m of each other, you may also enjoy visiting the Museum of Natural History and the amphibians and reptiles collection at the Vivarium. 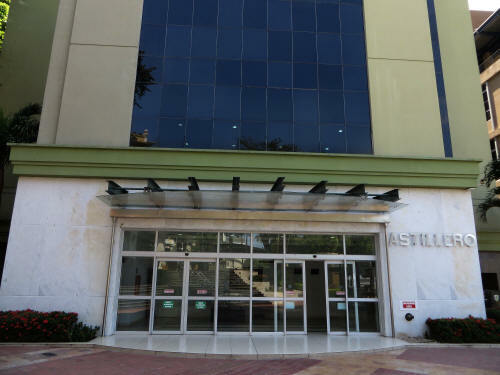 Cultural Center La Casa de Juan Caf� Sibar� with performing arts. 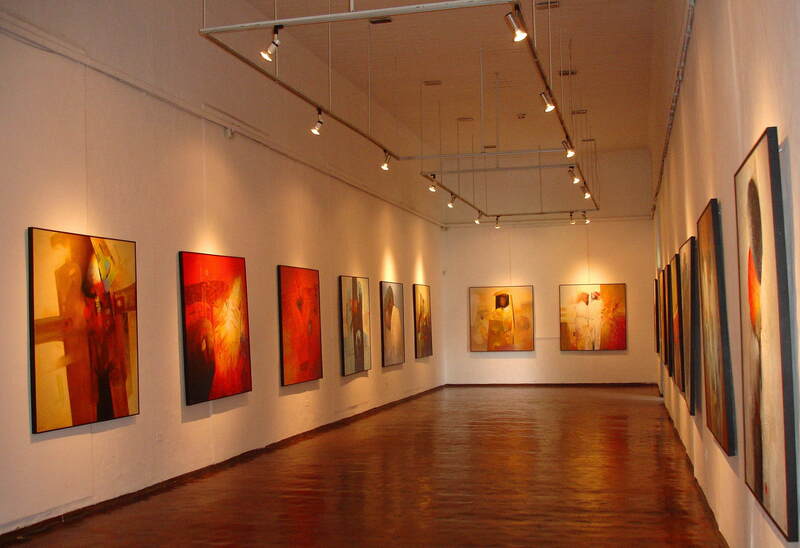 Aquarelle Museum of the work of Mu�oz Mari�o. 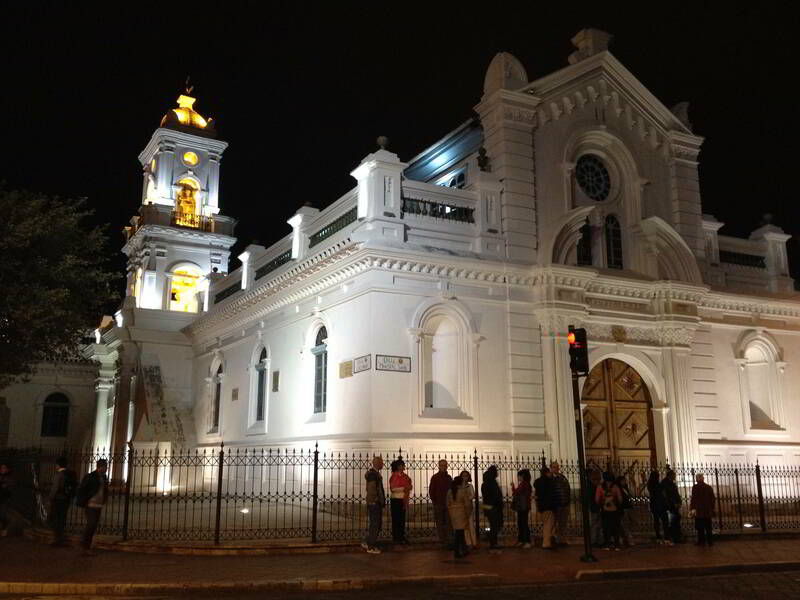 After the construction of the Inmaculate Conception Cathedral the El Sagrado Cathedral was no longer used and is now a museum for religious art. Pre-Columbian and recent Indigenous objects. 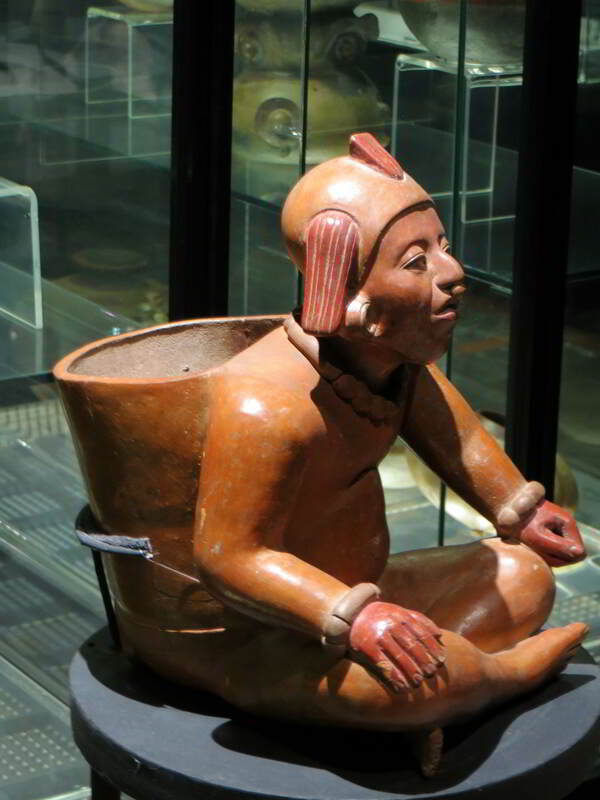 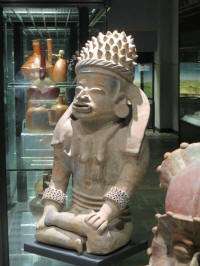 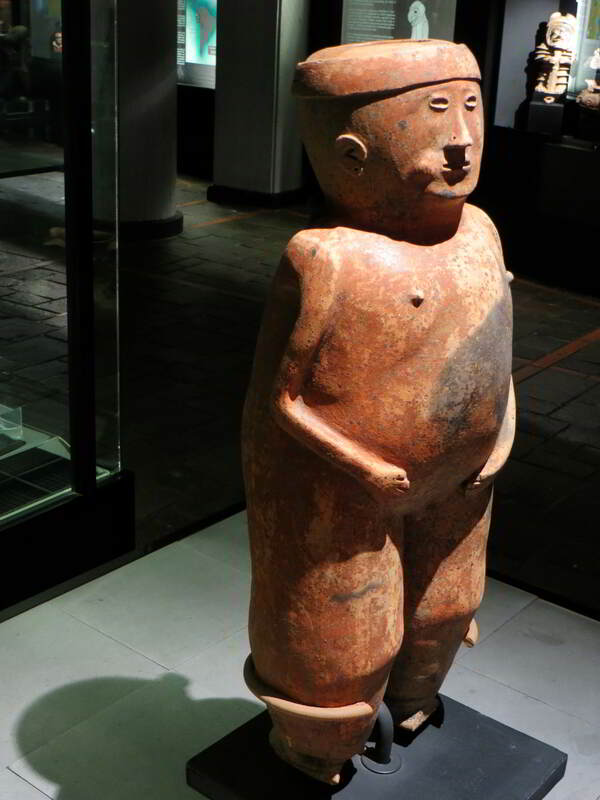 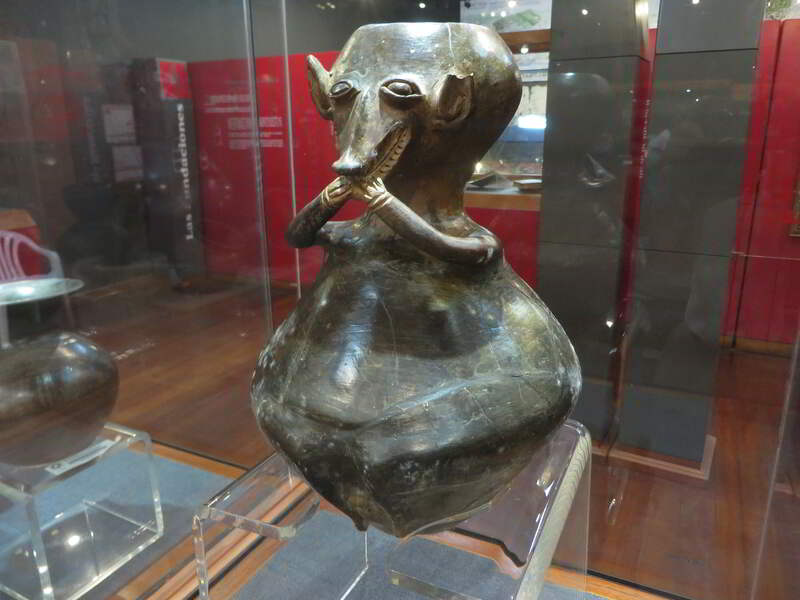 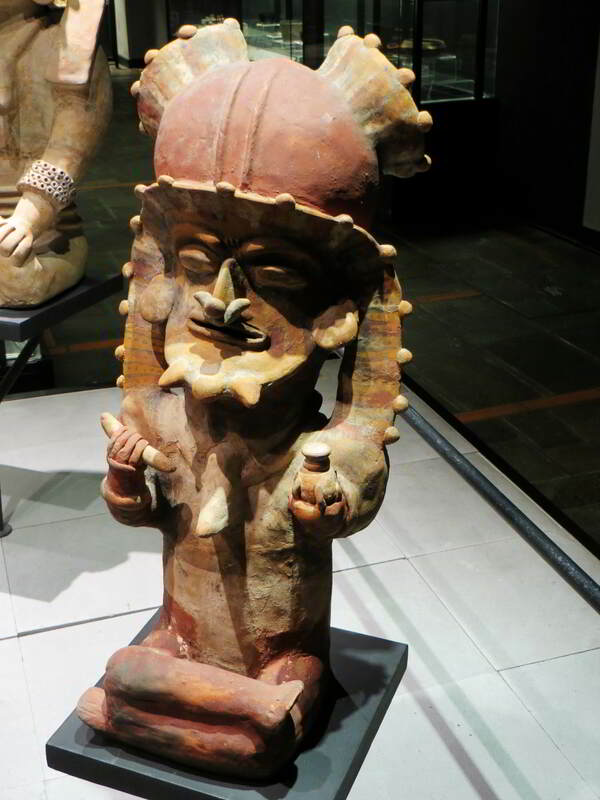 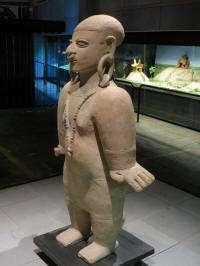 Some 5000 pre-Colombian items in 4 expositions representing important archaeological eras. Exposition: archaeology of the Ca�aris and Incas, ethnographic exposition of the indian cultures of Ecuador, monetary exposition and religious and colonial art exposition of the eighteenth and nineteenth century. 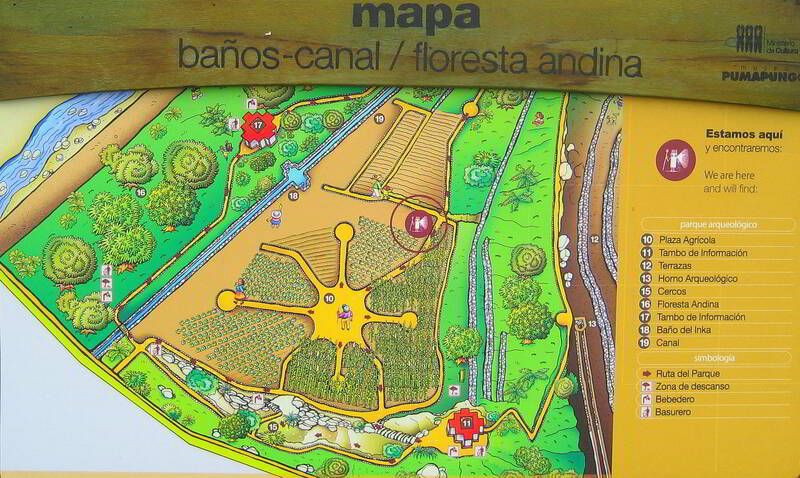 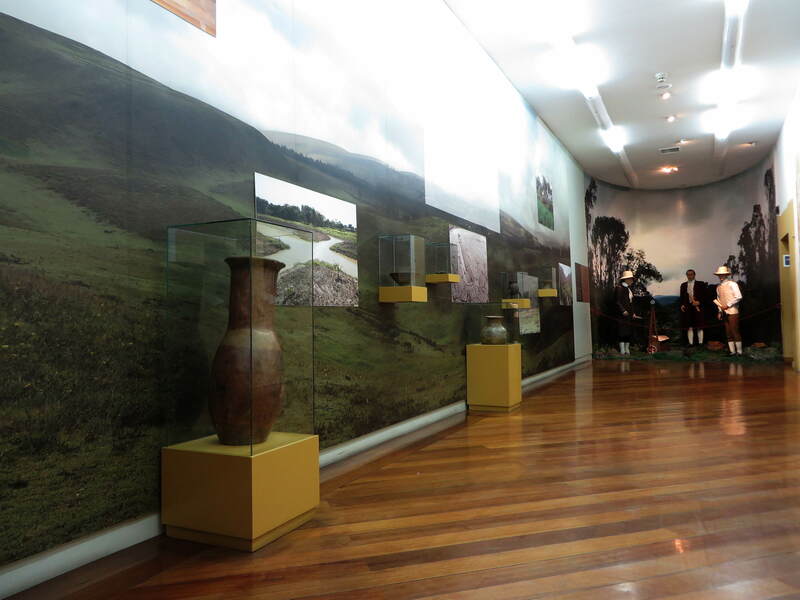 The museum also includes the Pumapungo archaeological site. 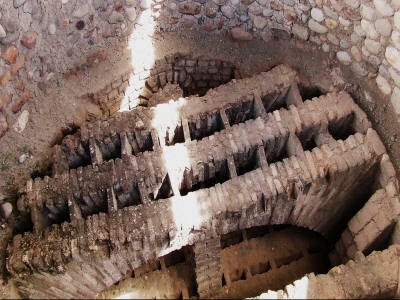 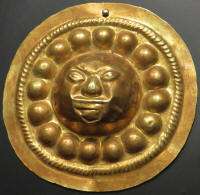 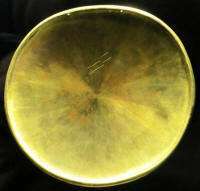 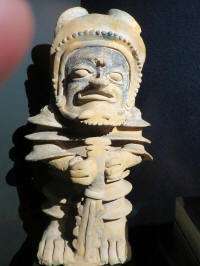 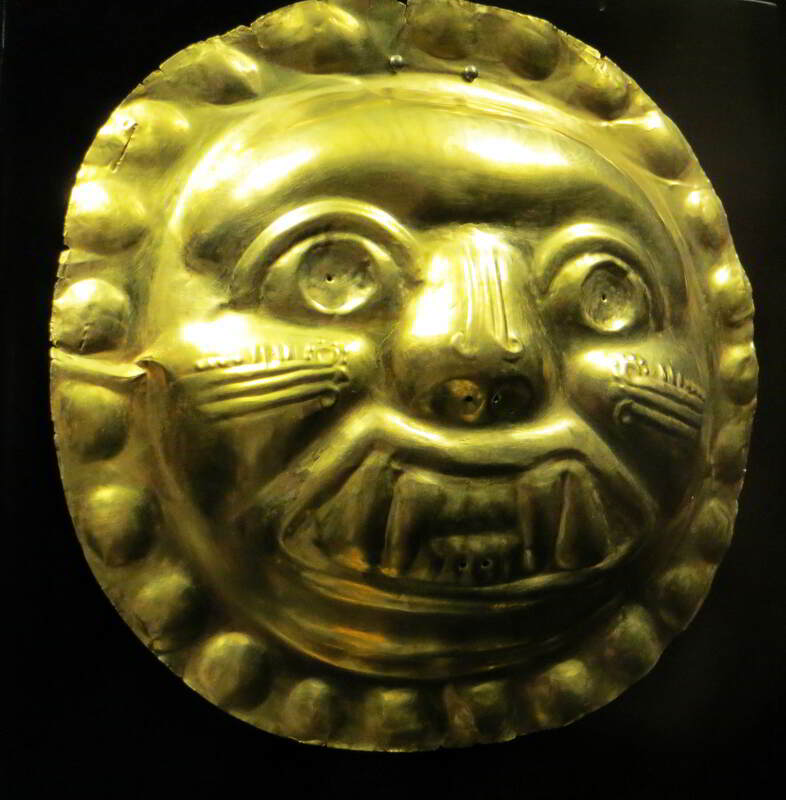 500 pre-Columbian archaeological items of the Ca�ari, Inca and other cultures. 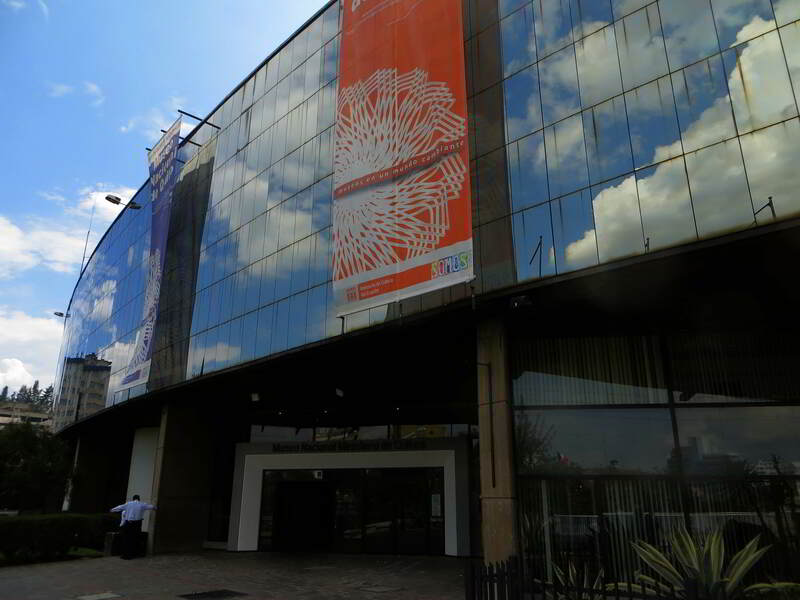 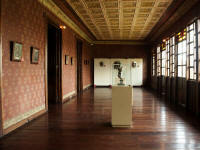 More than 7000 modern art items from Latin America. Collection of 150+ skeletons from the 19th century. 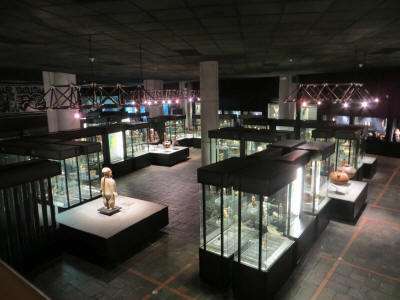 Archaeoligical museum with 20,000+ objects. Religious art in the former infirmary of the monastery dedicated to the Virgin Mar�a. 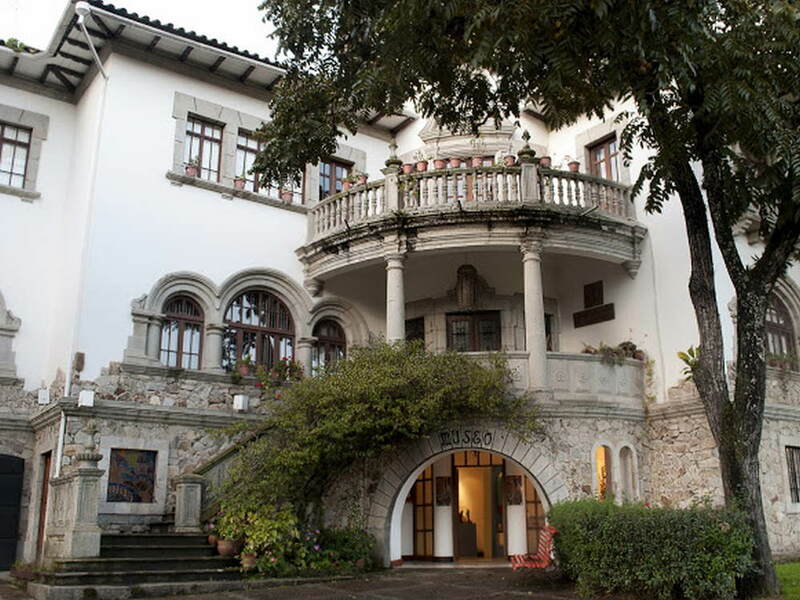 Museum of Modern Art in the restored historical building Casa Temperancia, a recovery center for alcoholics before becoming a prison. 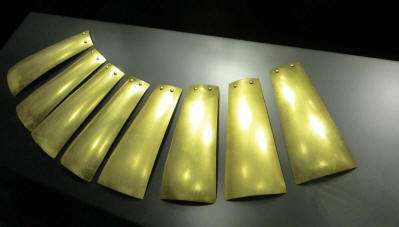 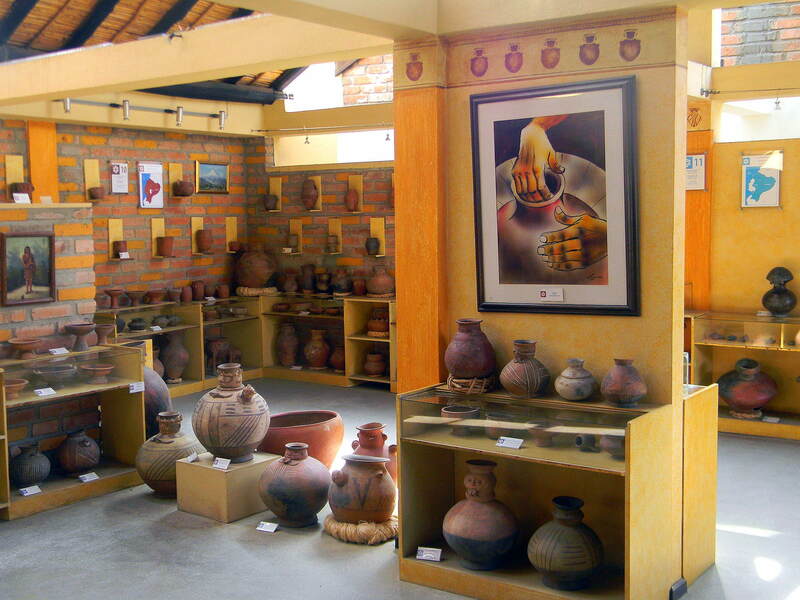 8000 archaeological, historical and art objects, including Ca�ar and Chordeleg gold items as well as pre-Colombian ceramics. 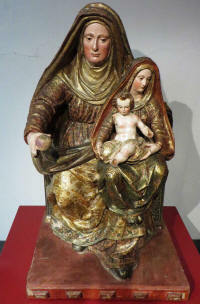 Furthermore a collection of colonial paintings and sculptures and religious art. 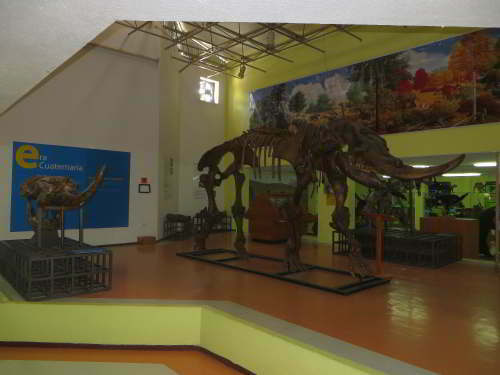 Natural history museum with a considerable collection of animals. 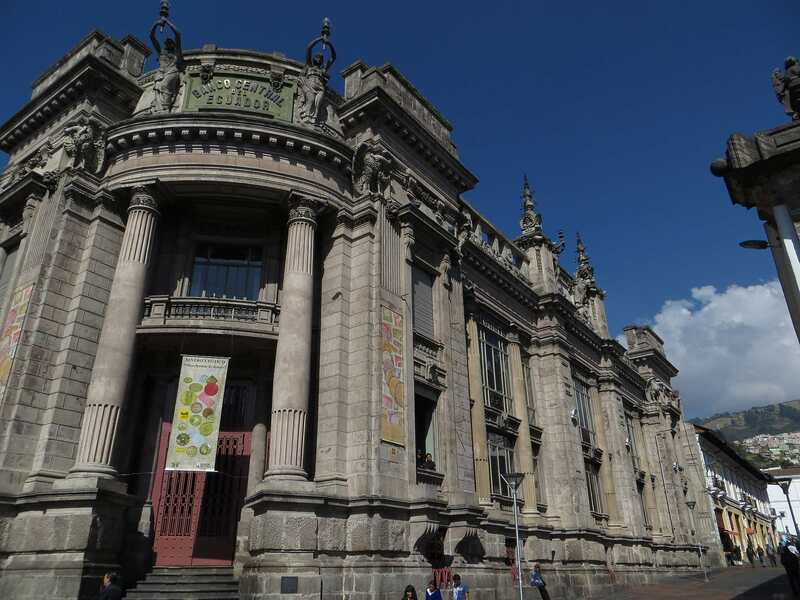 You can't visit Cuenca without going to the Banco Central Museum which also is home to the Pumapungo archaeological site, the ruins of the pre-Colombian city on which Cuenca was built. 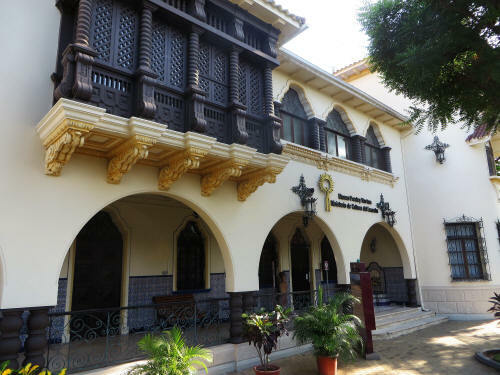 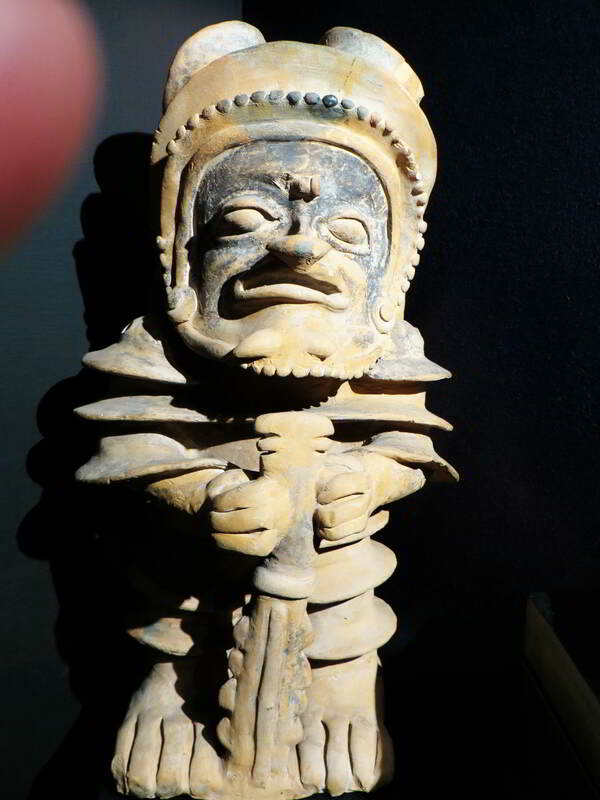 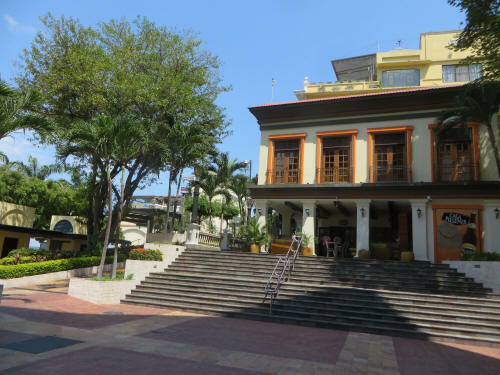 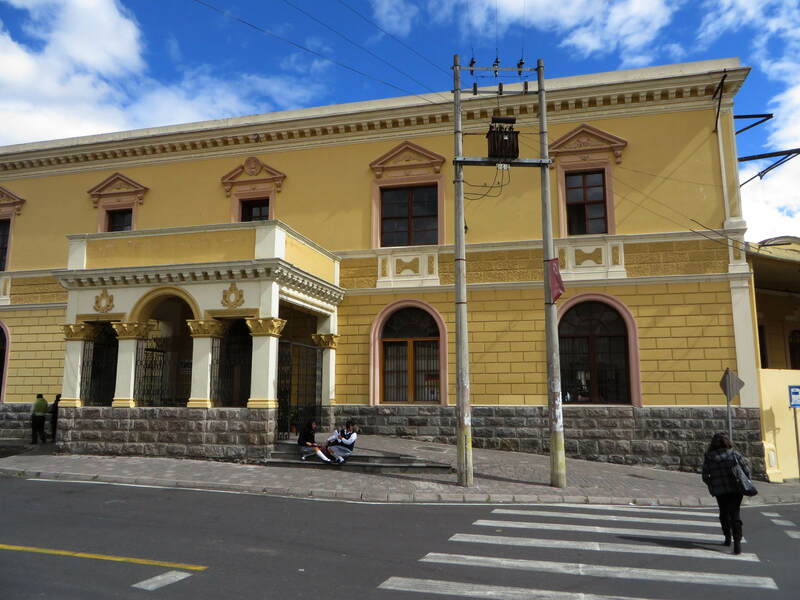 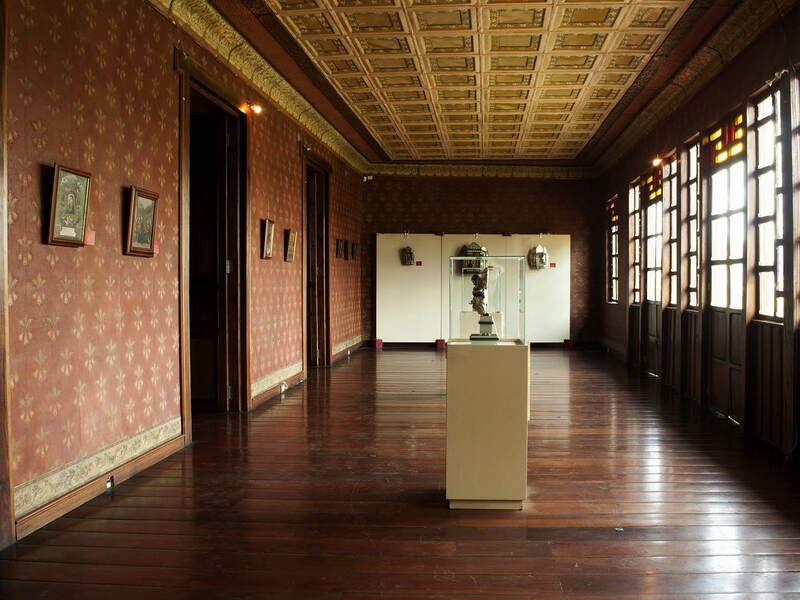 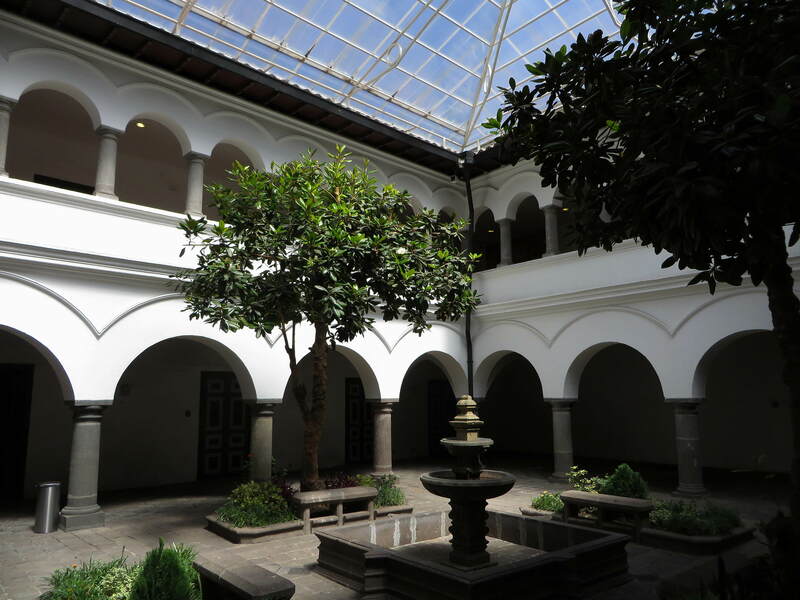 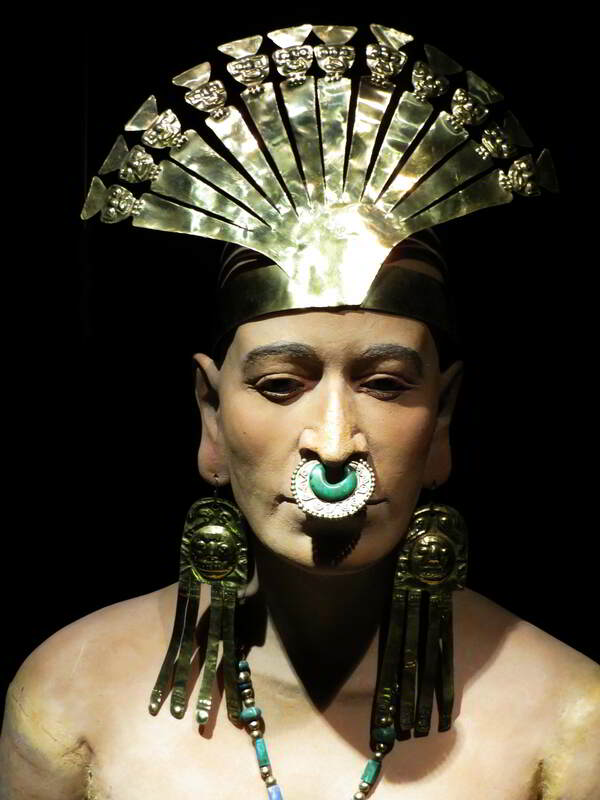 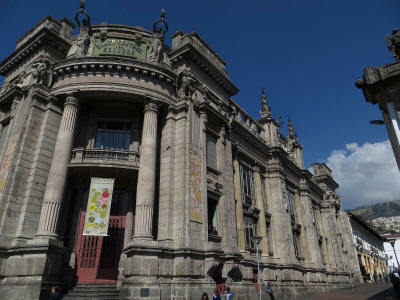 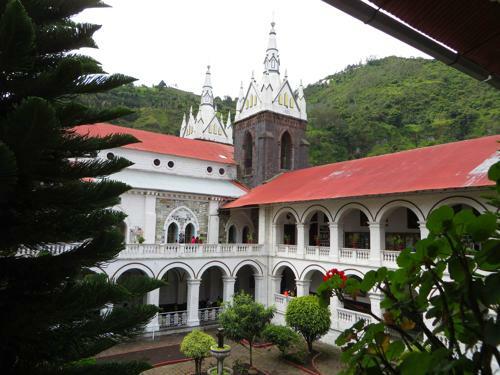 The museum itself showcases the archaeology of the Ca�aris and Incas, an ethnographic exposition of the Indian cultures of Ecuador, a monetary exposition and religious and colonial art exposition of the eighteenth and nineteenth century. 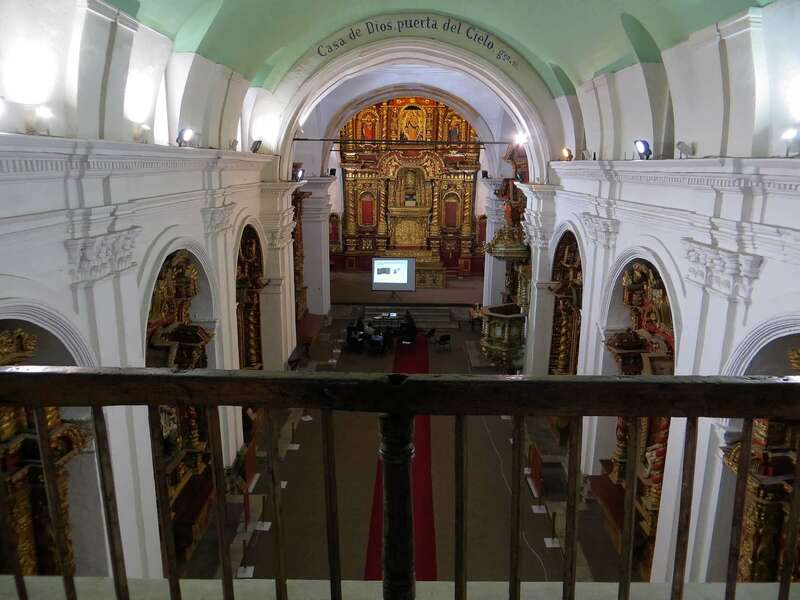 The Sagrario Cathedral, the former cathedral of Cuenca, has been turned into a religious museum and living arts performance center. 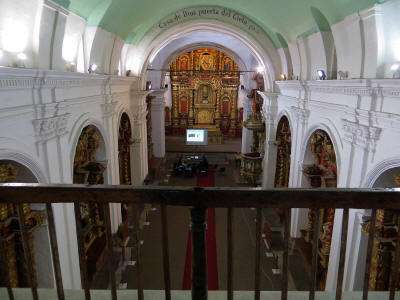 The interior of the side-chapel. 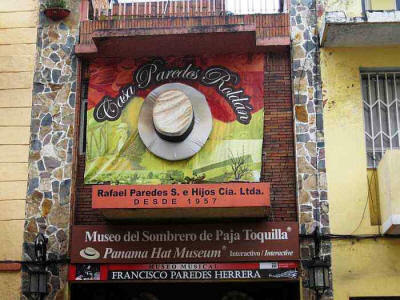 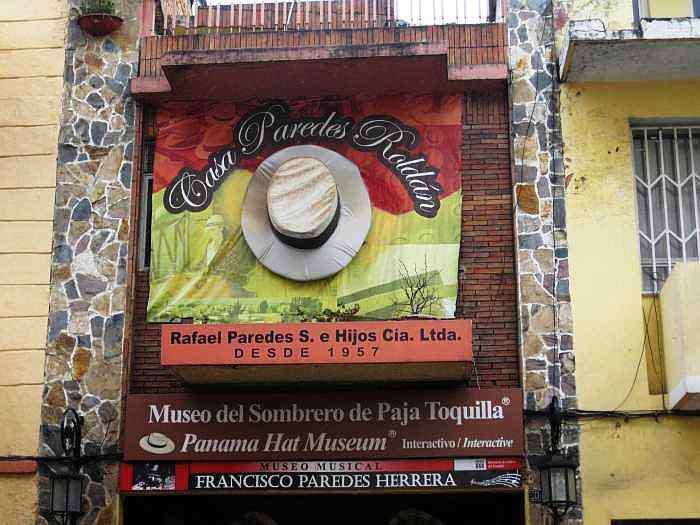 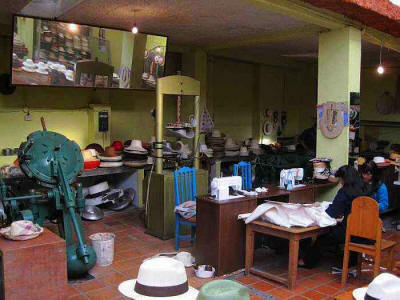 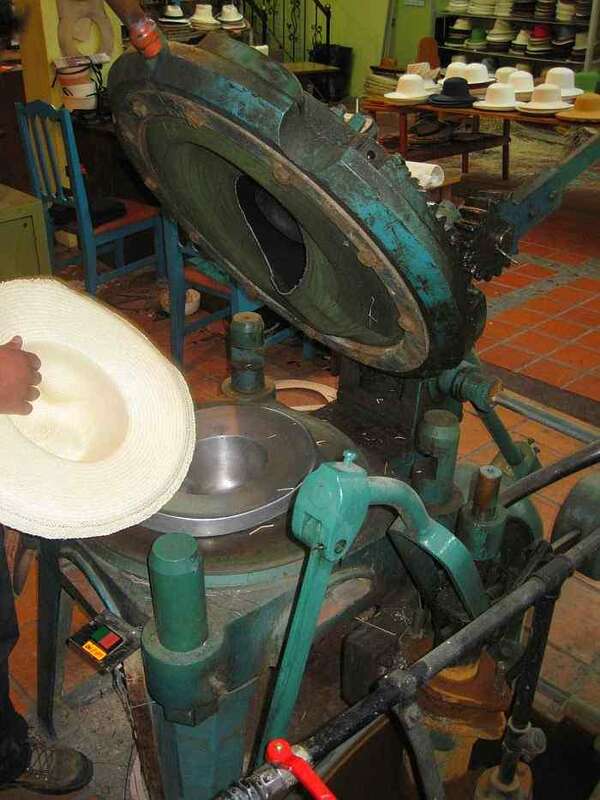 Panama hat museum and workshop Paredes Rold�n. 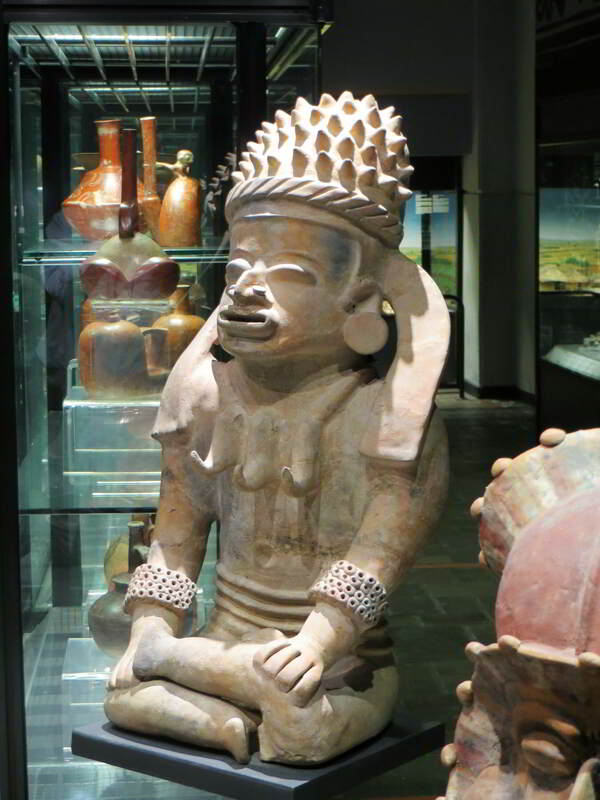 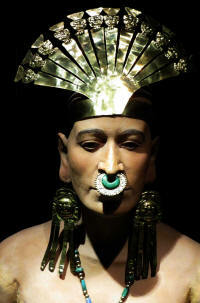 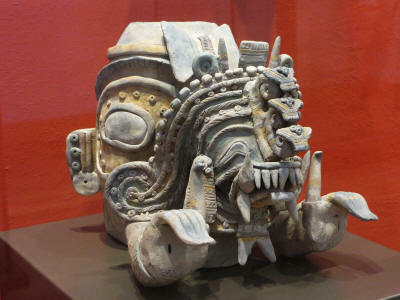 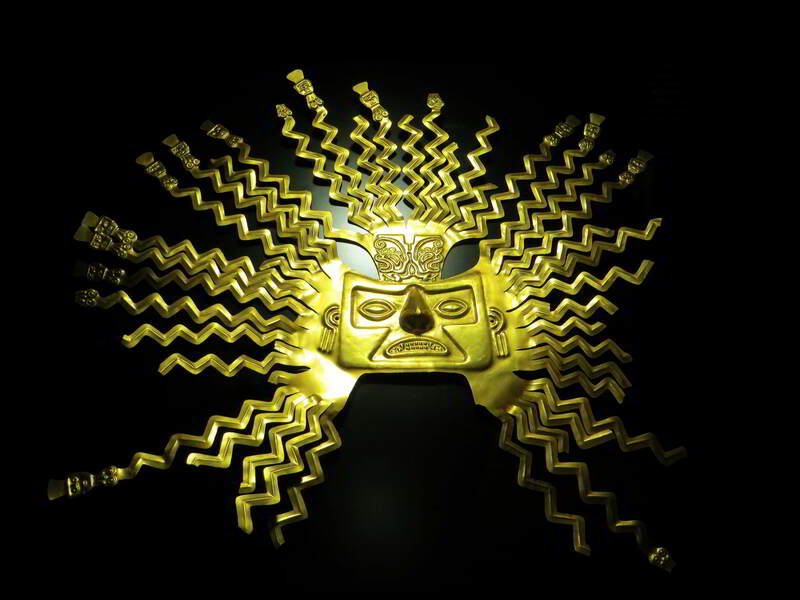 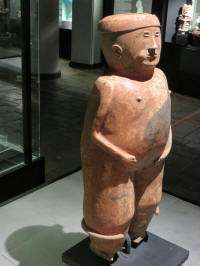 Archaeological Museum of Indigenous Art with more than 5000 objects of pre-Columbian and recent historical periods. 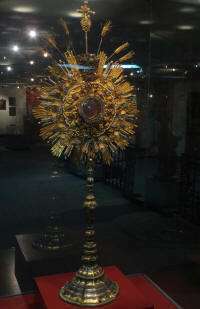 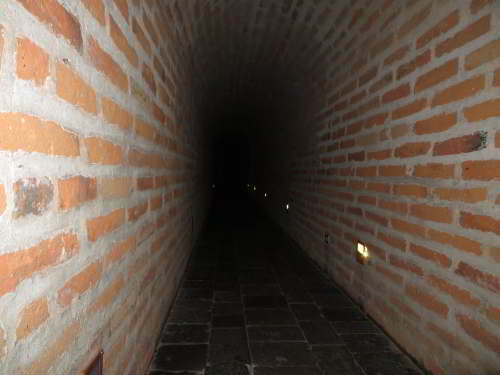 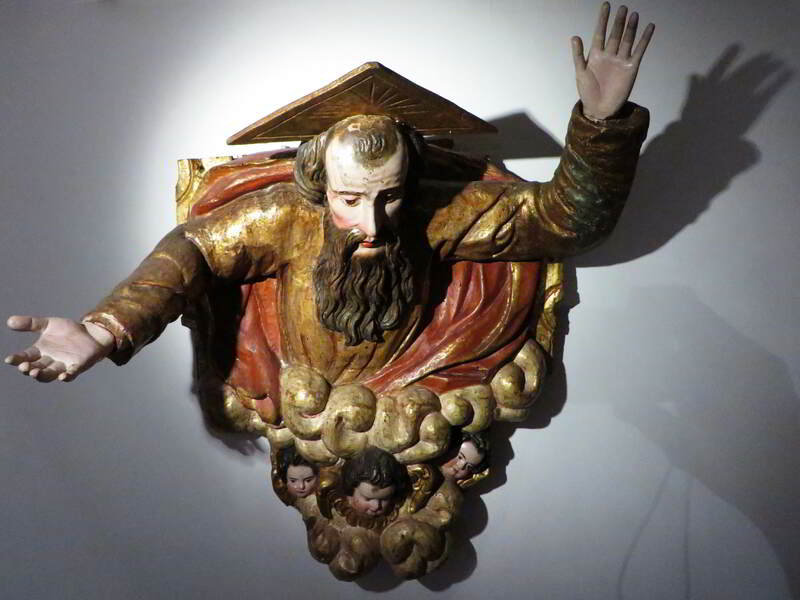 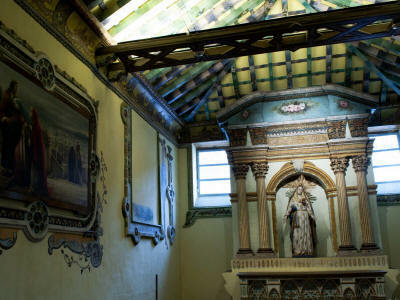 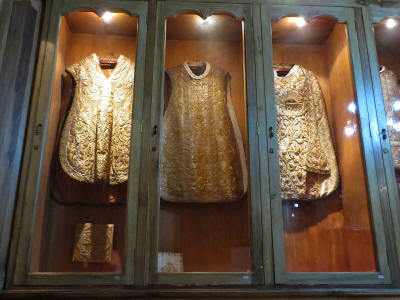 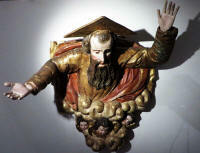 Las Conceptas is a little museum in a beautiful colonial house, mostly dedicated to colonial and religious art. 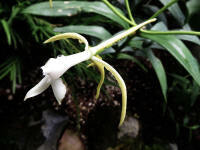 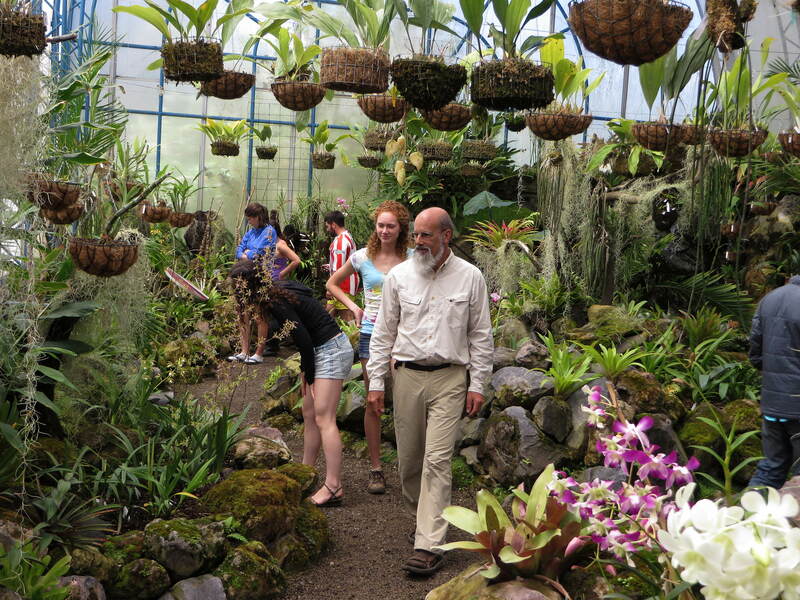 About 700 plant mostly native species in simulated natural habitats outside and in greenhouses. 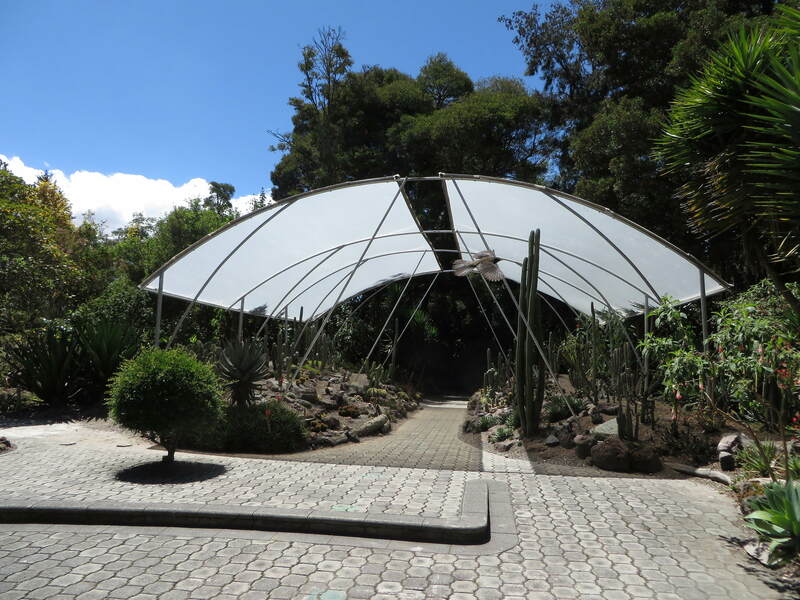 Also a butterfly house. 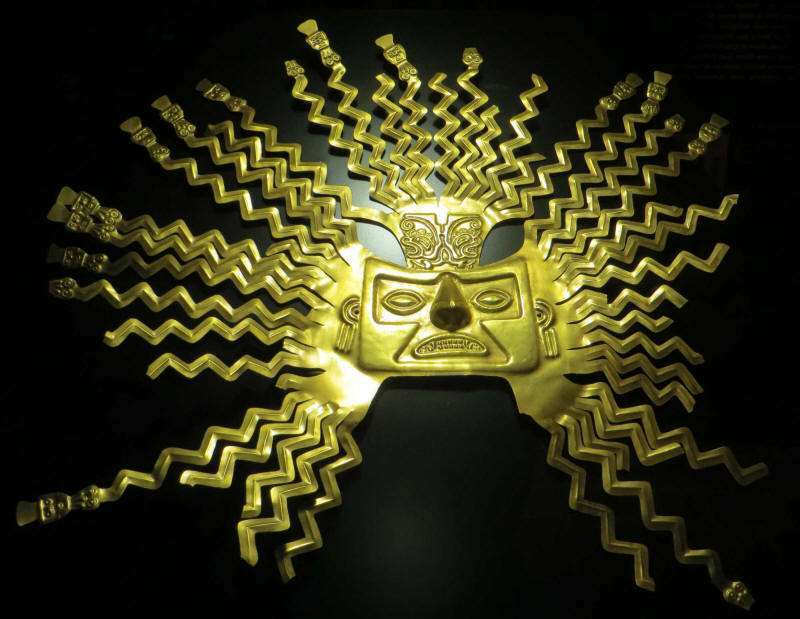 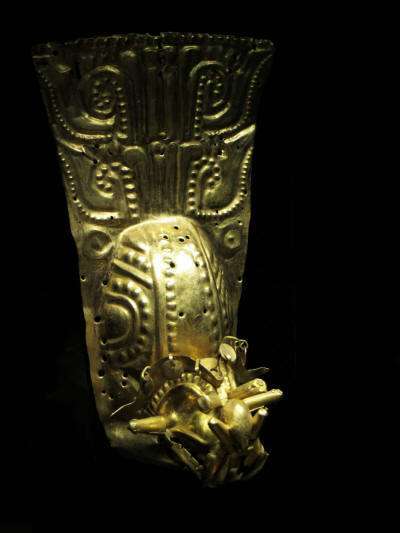 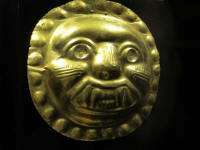 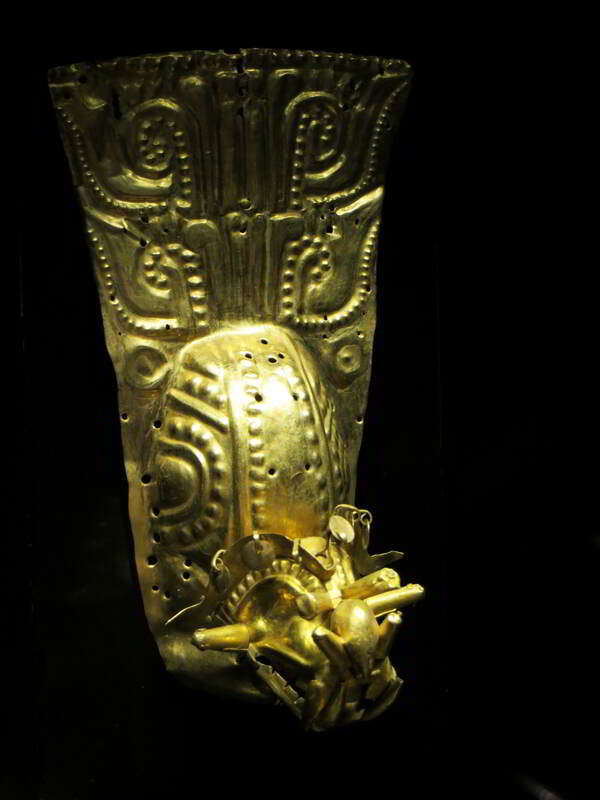 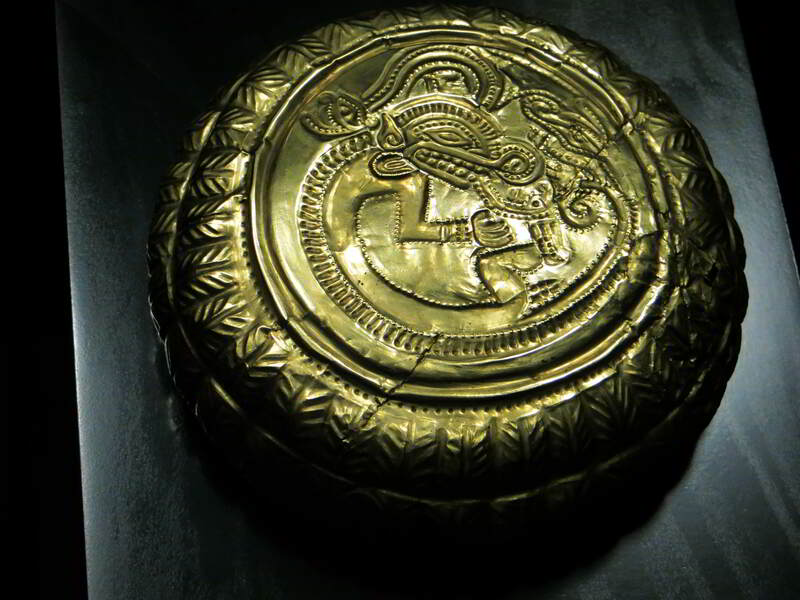 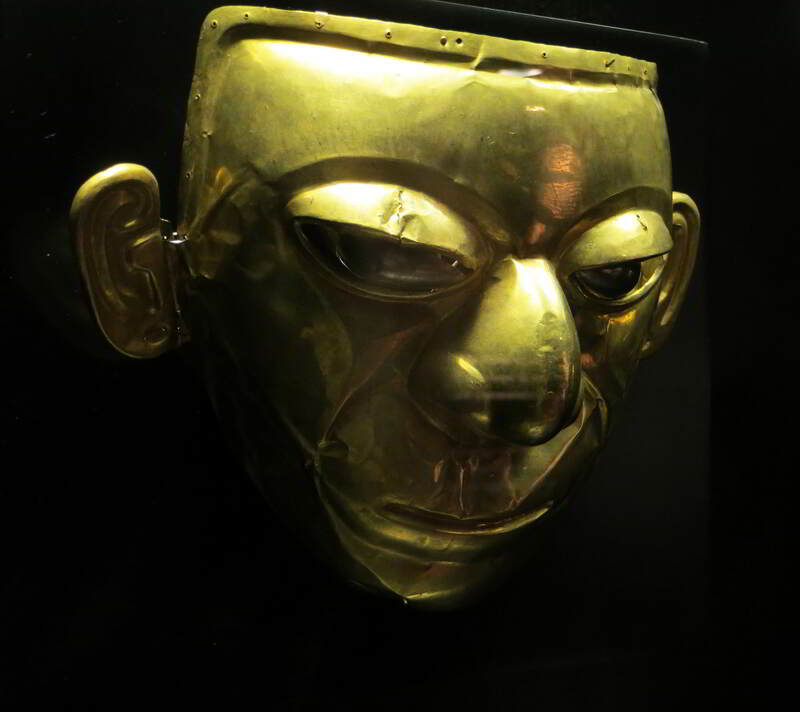 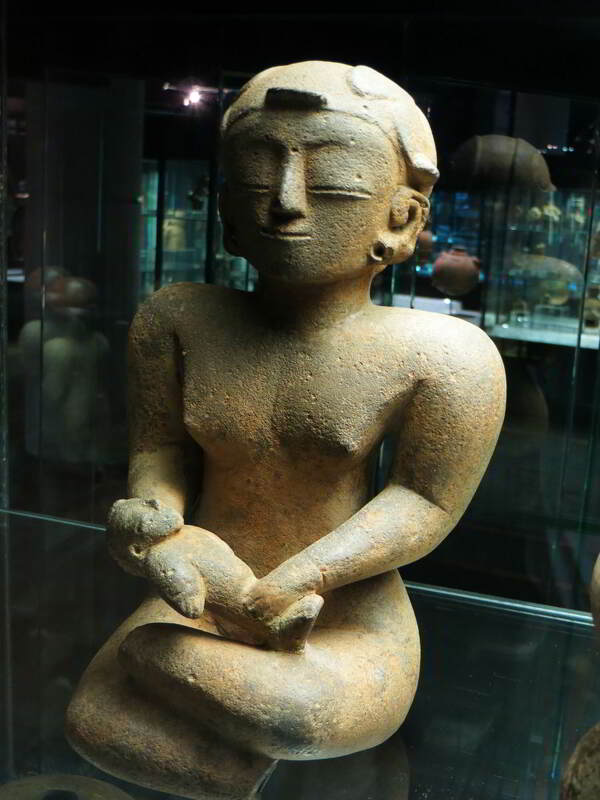 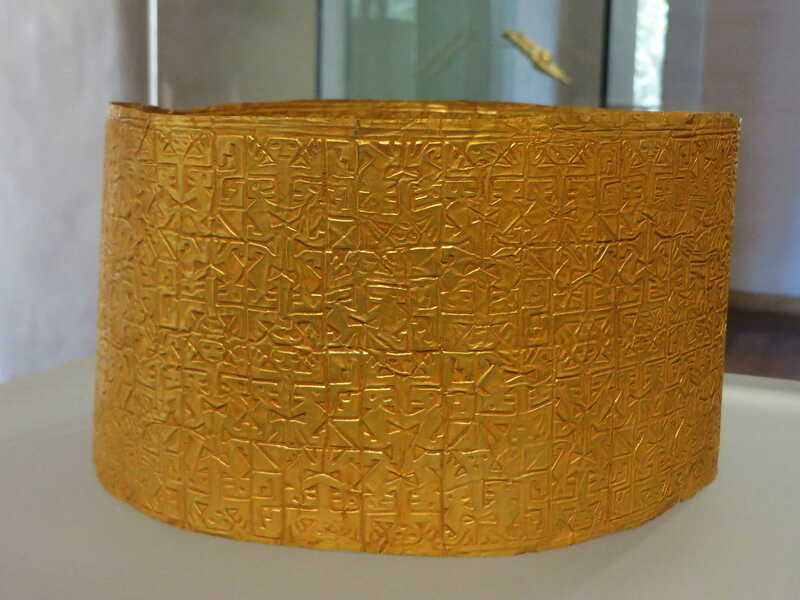 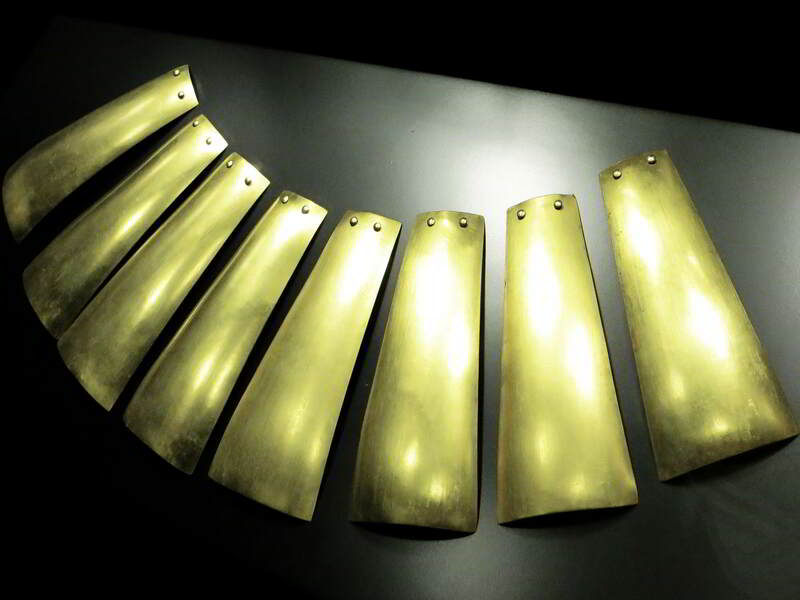 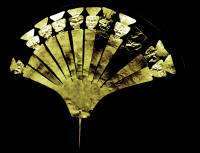 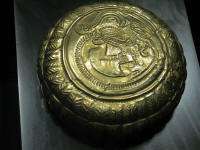 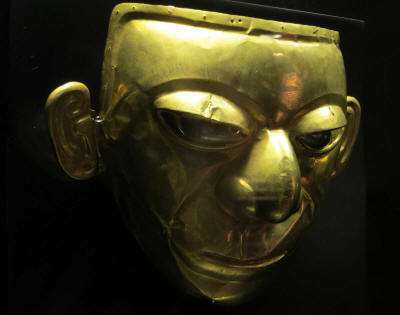 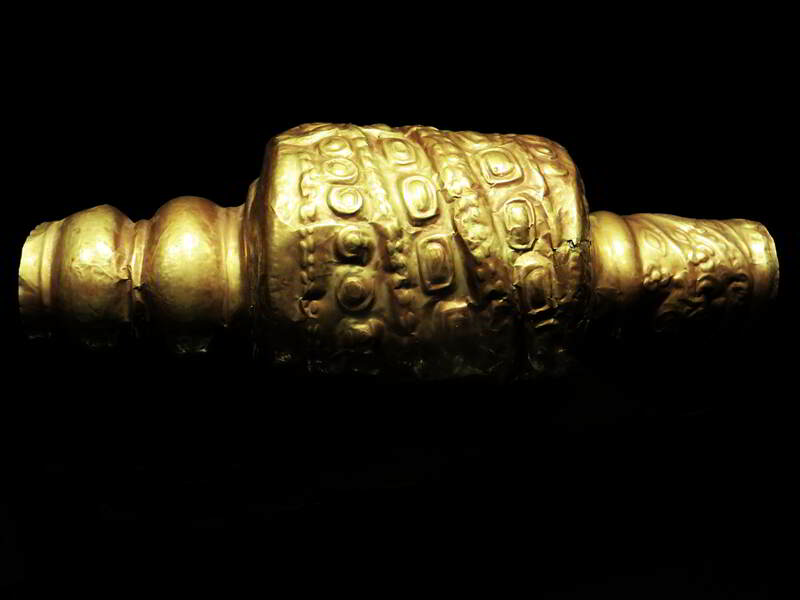 Archaeological, historical museum with inter alia important collection of pre-Colombian golden art objects. 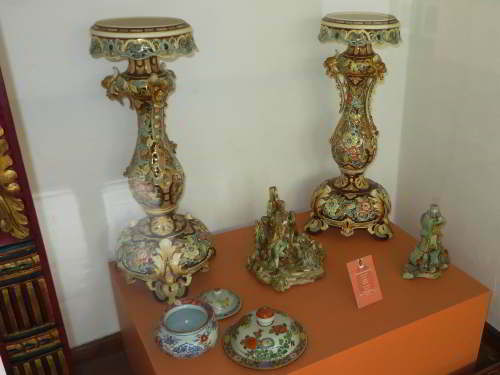 Colonial art includes paintings and sculptures. Historical archaeological museum. The people of Santa Helena Peninsula throughout its history. 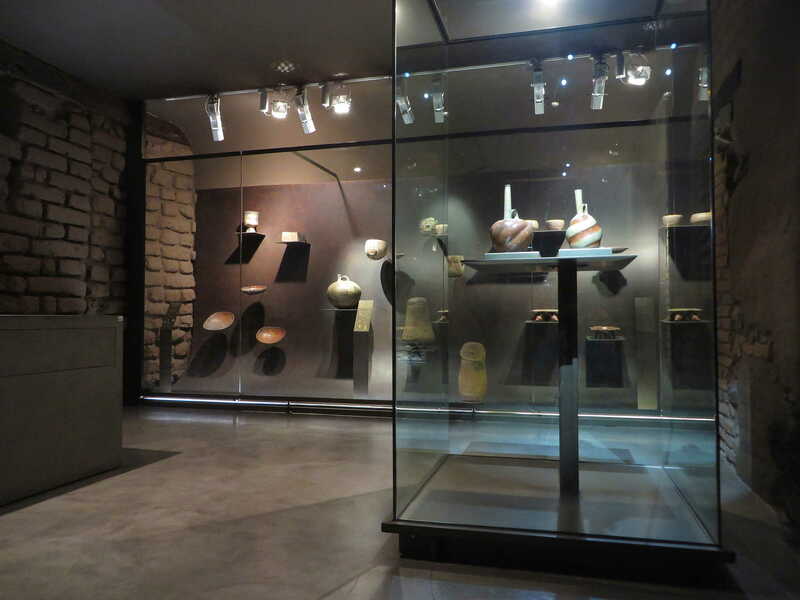 50,000+ archaeological objects, 3,000 modern art objects and archaeological, historical and art library. 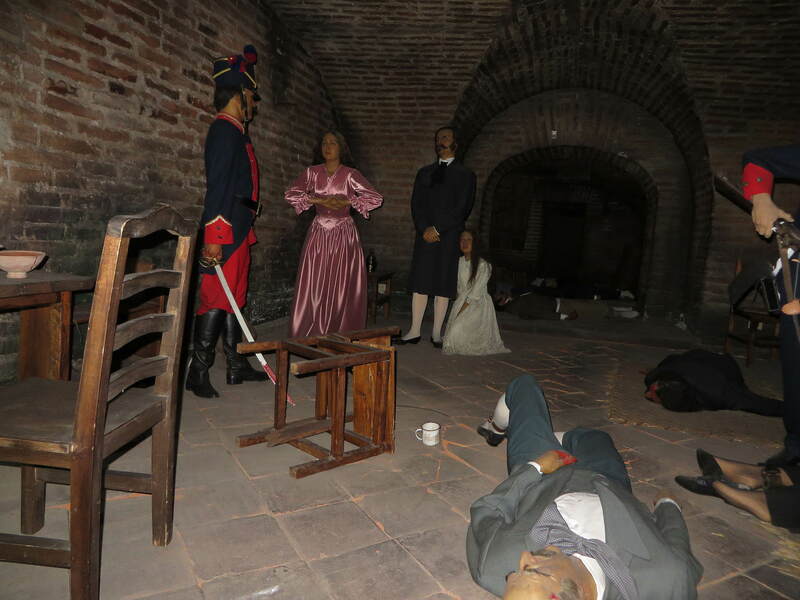 Scenes in miniature about the history of Guayaquil. 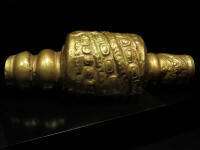 I could not find this back. Displays: Archeological objects, colonial documents, ethnological objects, photographs and personal objects of people playing a role in the independence of the city at the beginning of 19th century. 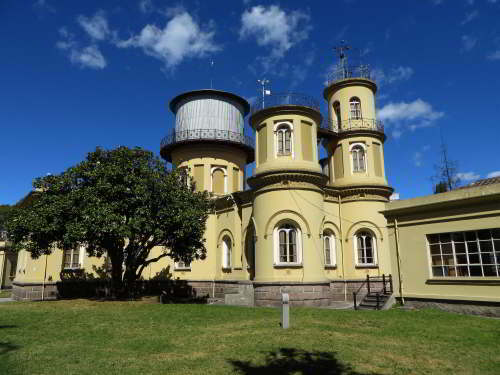 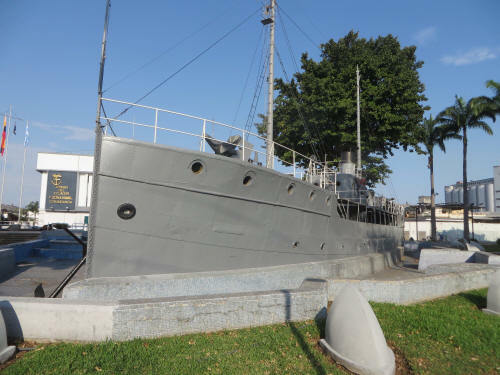 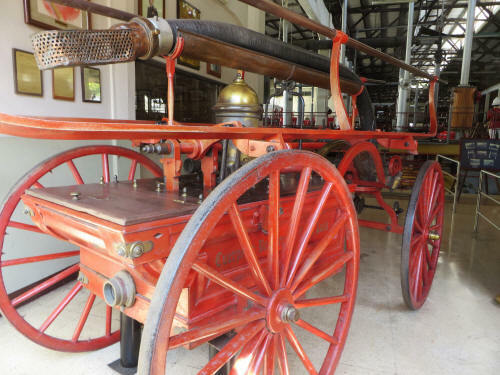 Located in the old house of Augusto Dillon Valdez, with a heritage of some architectonic value, the museum exhibits a compilation of elements, instruments, weapons, scale models, photographs and documents representing the evolution of the Navy from 1941 until the present. 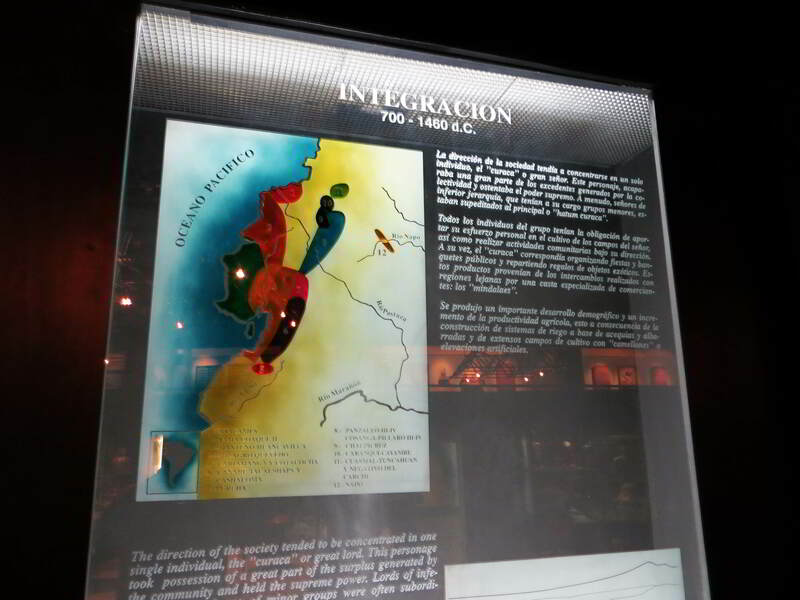 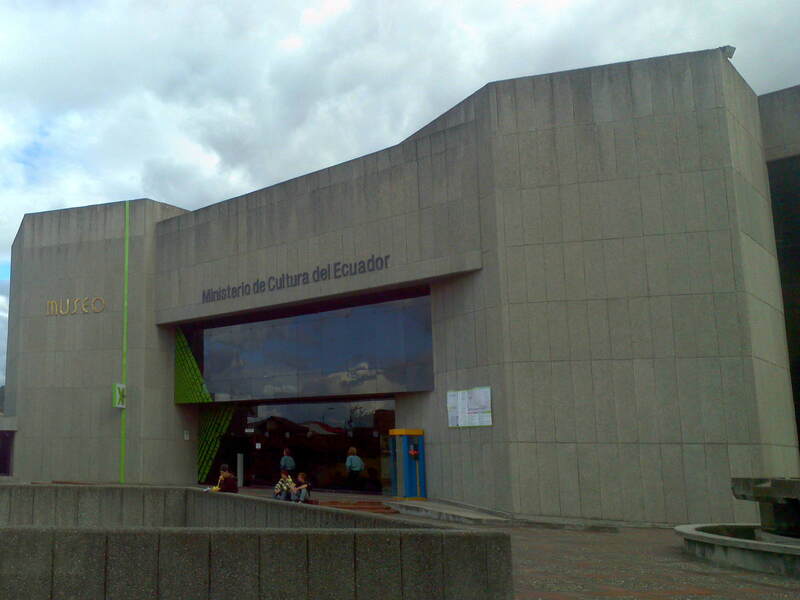 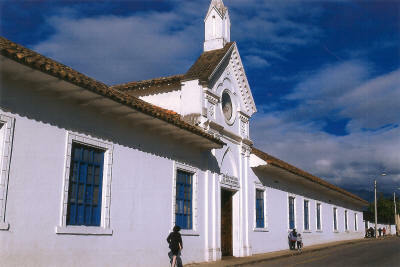 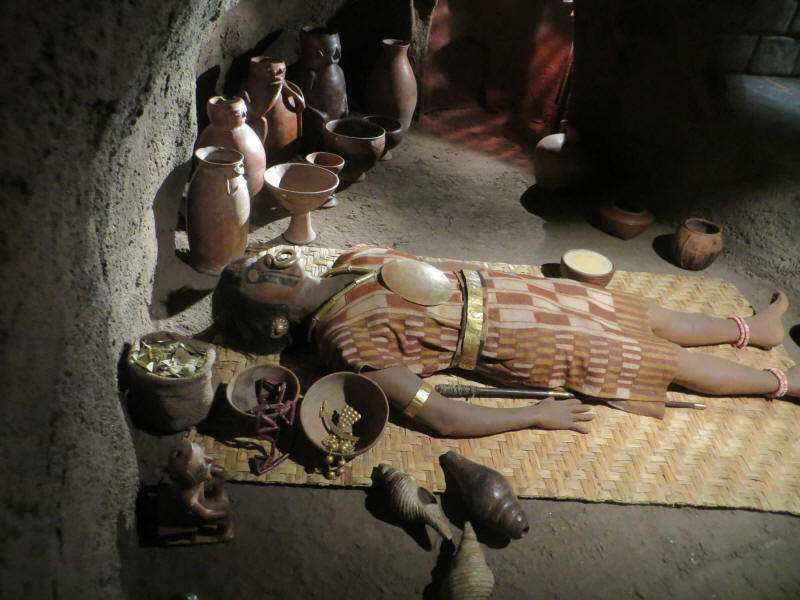 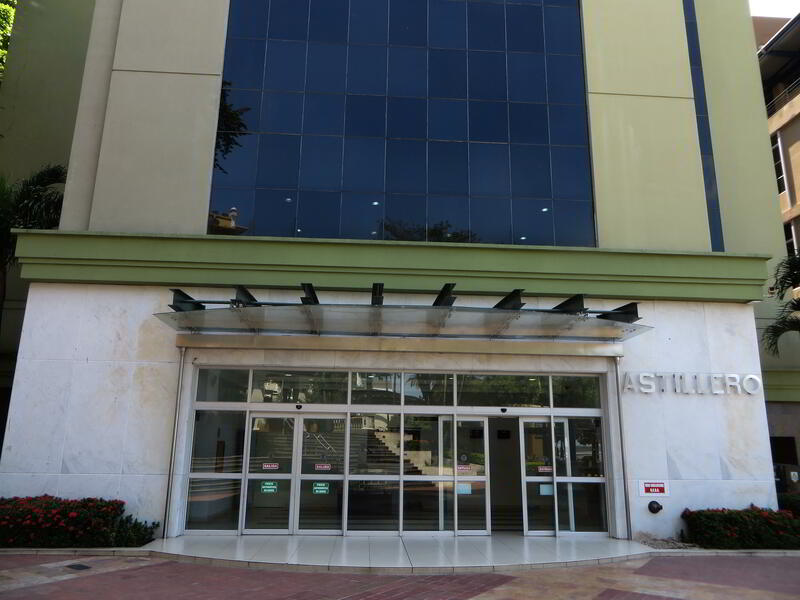 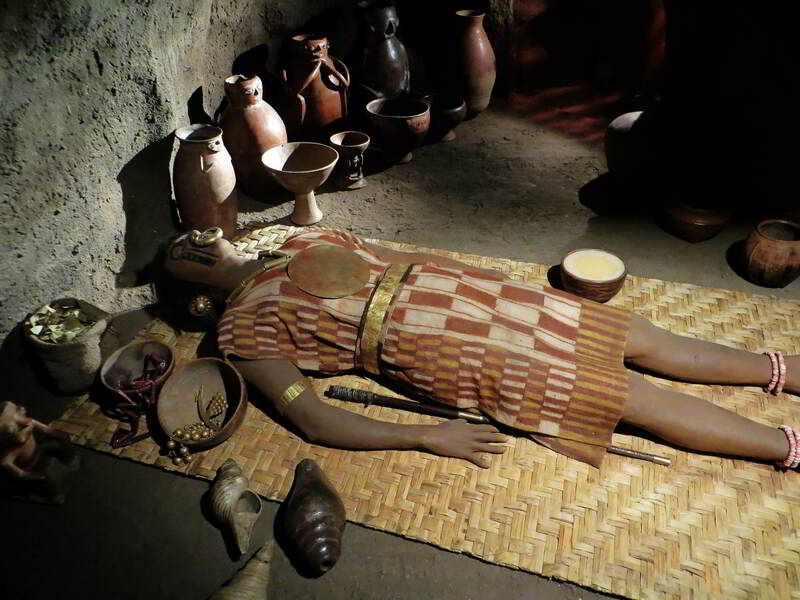 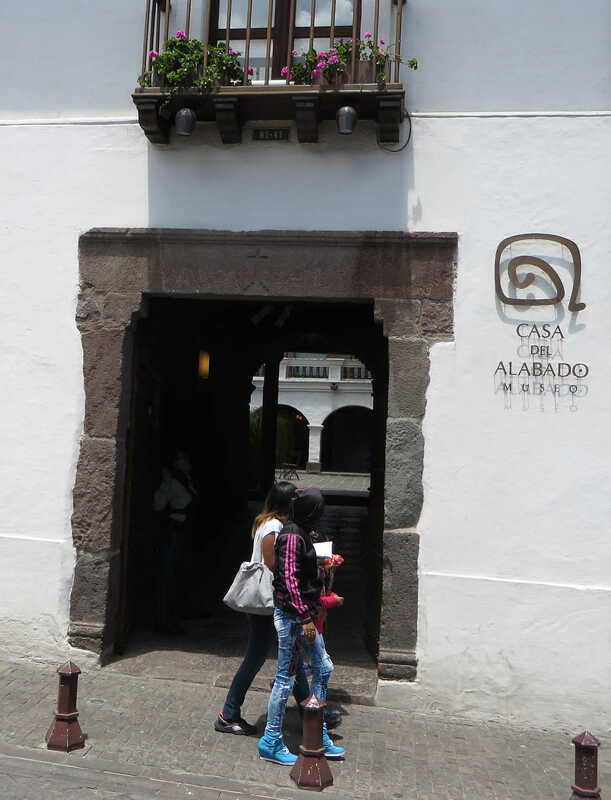 Archaeological museum about the "Life and Customs of the Settlers of Ancient Ecuador". The objects belong to the periods; Formative (4200 BC � 500 BC), Regional Development (500 BC � 500 AD) and Integration (500 AD � 1530 AD). 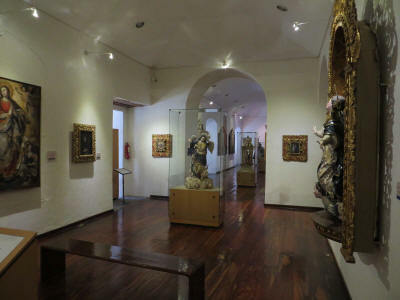 Colonial art museum with paintings, sculptures and other objects from the 16th to the 19th centuries. 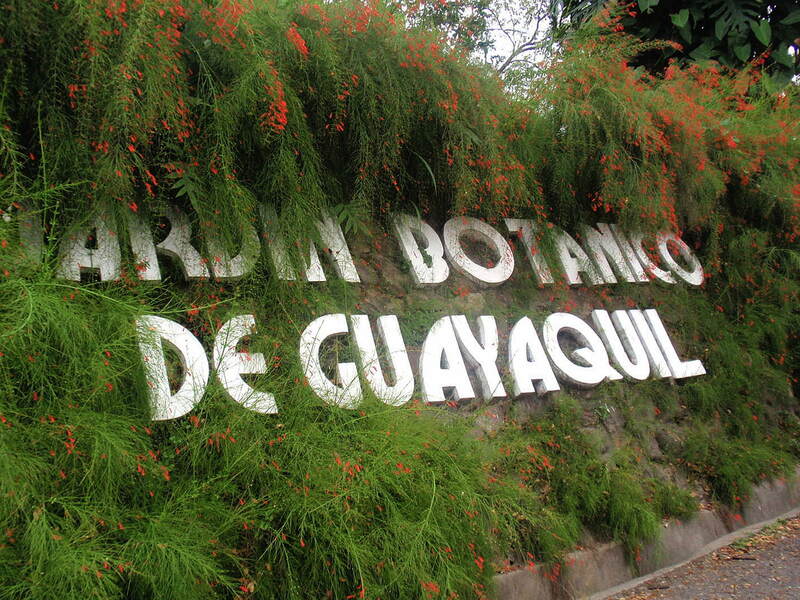 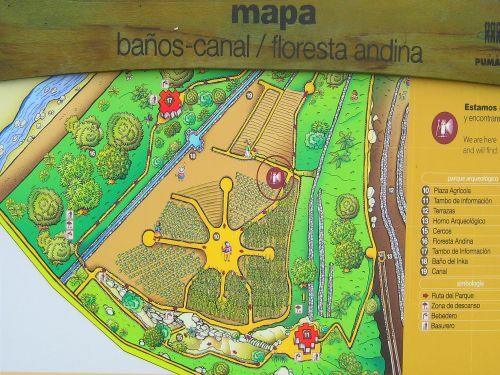 The park pays homage to the old Province of Guayaquil of 1762, which encompassed the modern day provinces of Guayas, El Oro, Los Rios, and part of Manab�. While the park is still being developed, it is an oasis of tranquility in this busy city and if you are interested in wildlife, the zoo is set in the natural mangrove and features the more conspicuous and larger animals of Ecuador in general and the coast in particular. 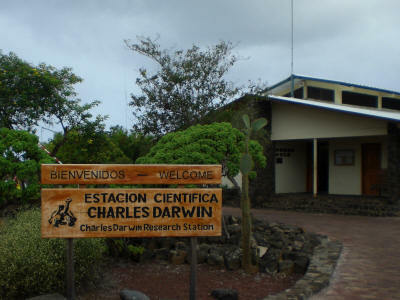 On Galapagos there is the Charles Darwin Research Station. 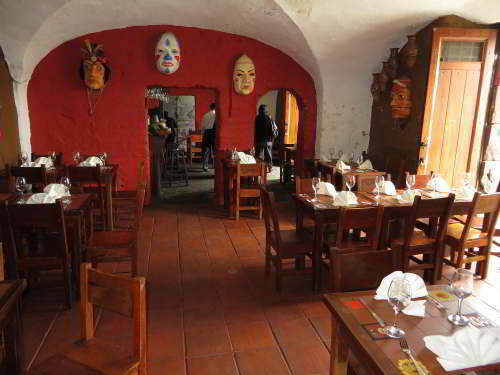 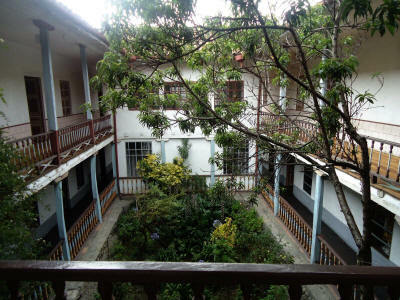 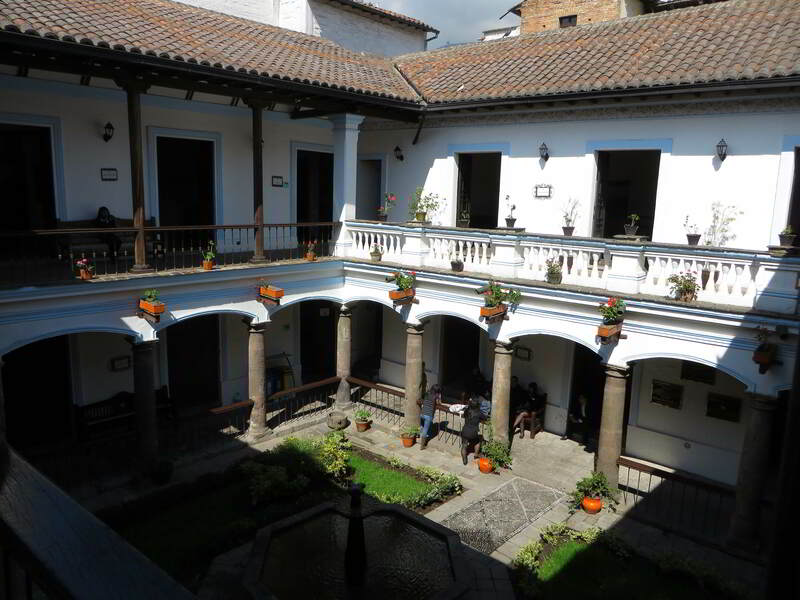 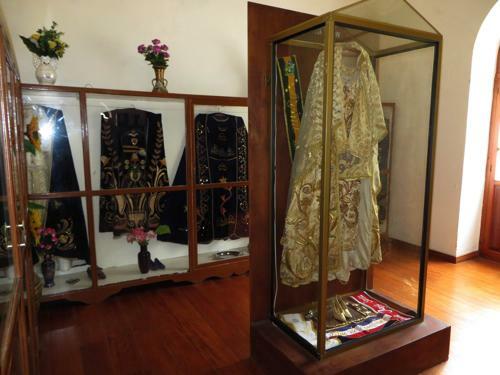 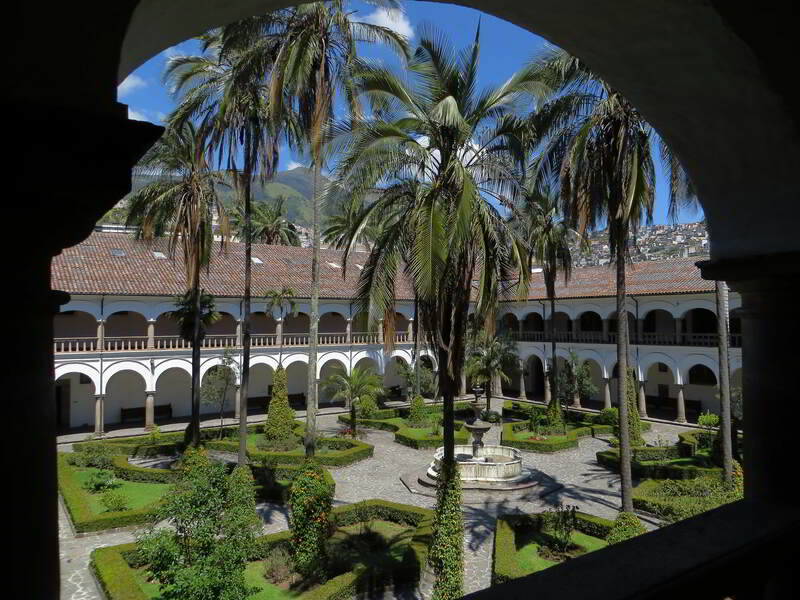 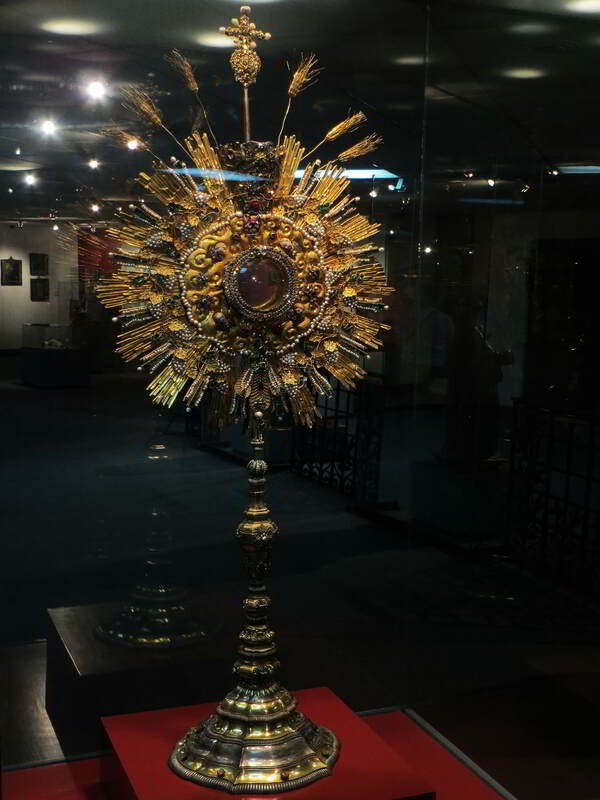 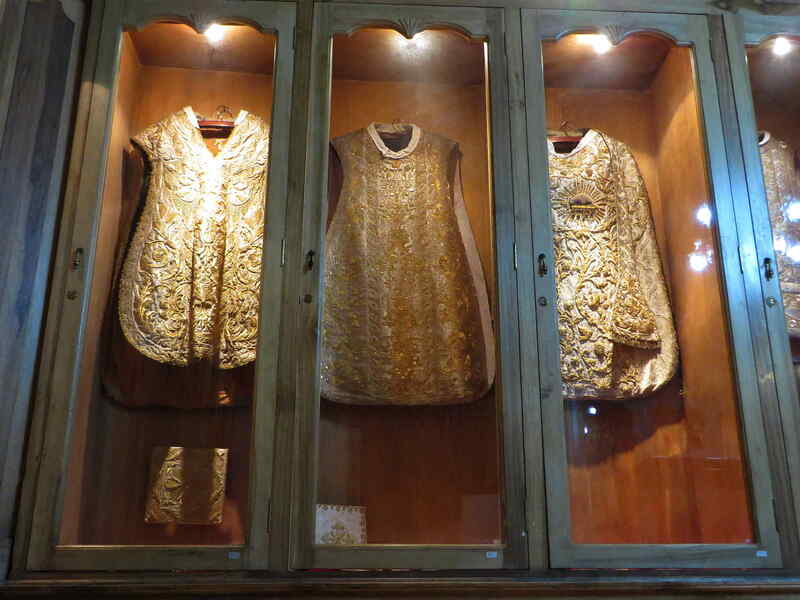 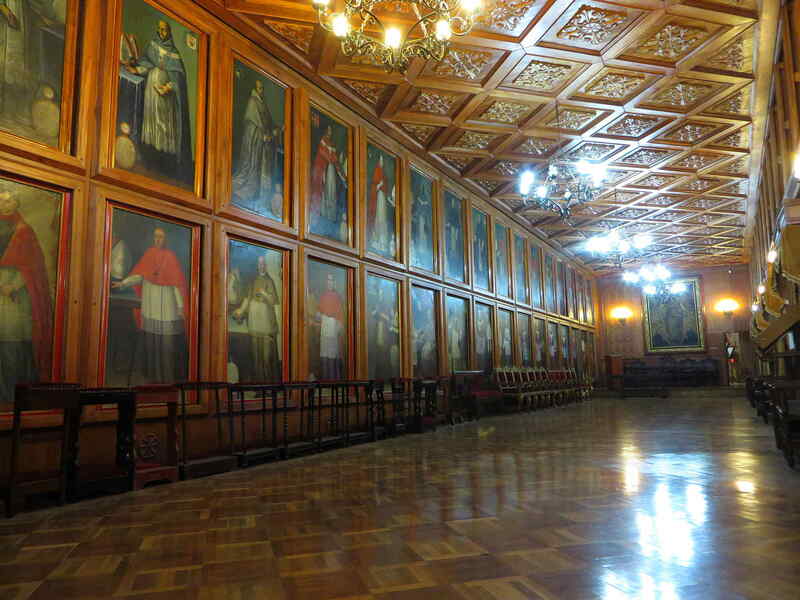 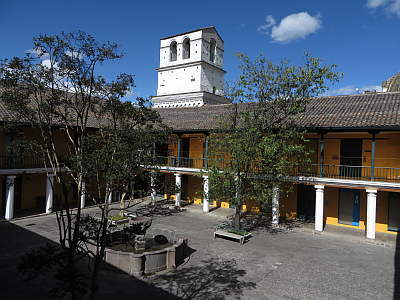 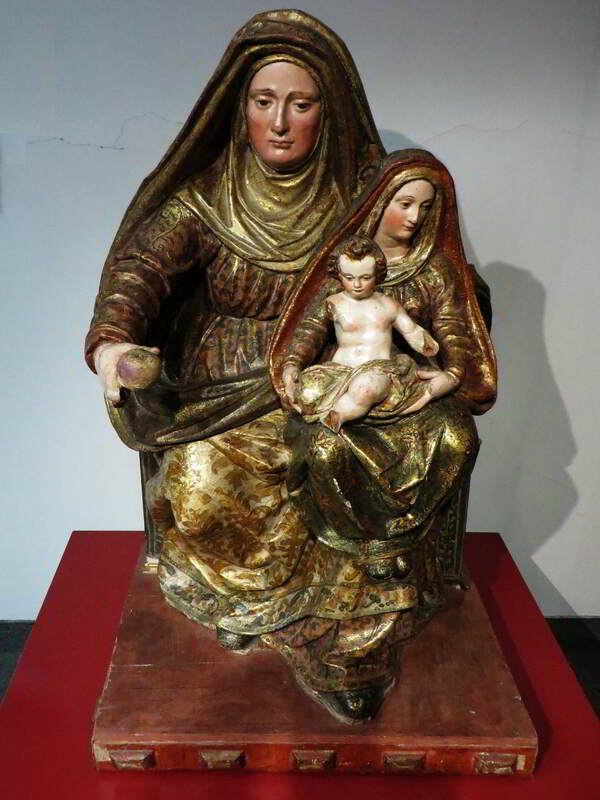 In Ba�os, the "Nuestra Se�ora del Agua Santa Church has a general museum at the second floor of the monastery's court yard, featuring rooms with ethnological, religious, historical, biological, and many other expositions. 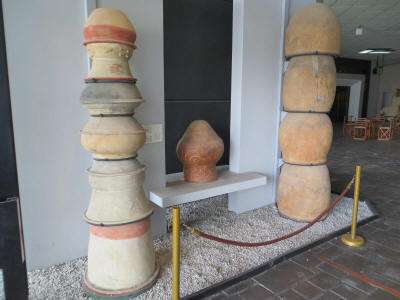 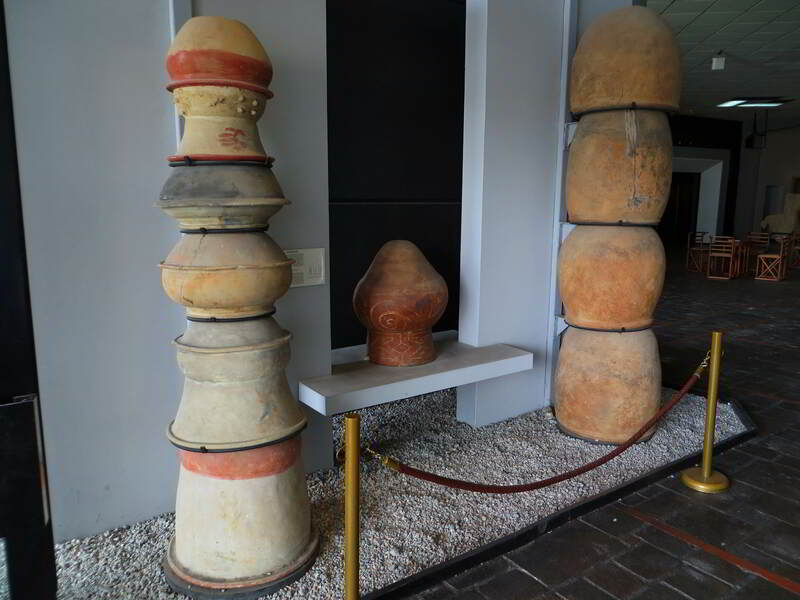 While very amateurish in its presentation, it still is very interesting as a regional museum - particularly the collection of indigenous pottery is very interesting. 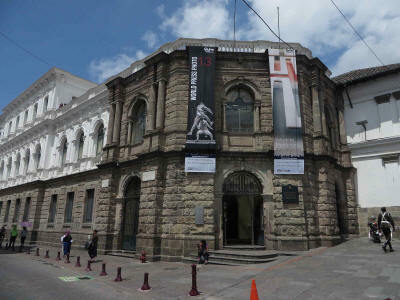 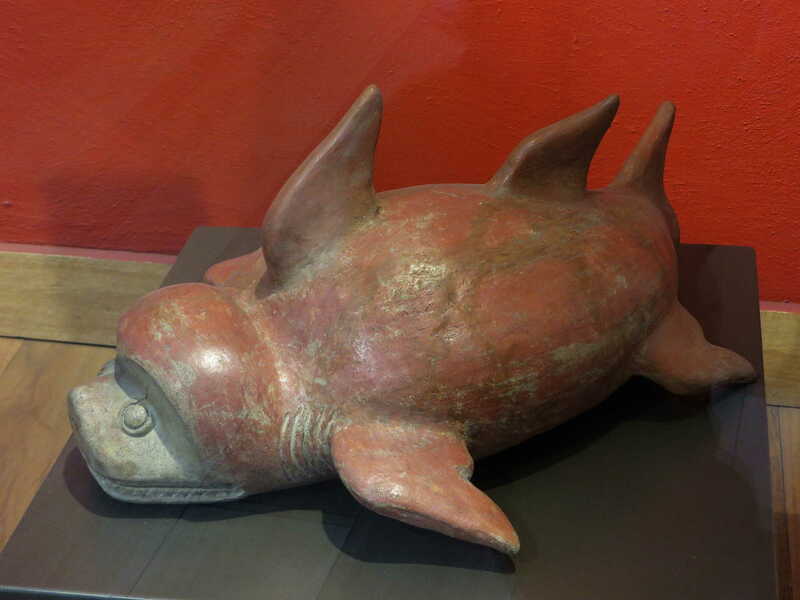 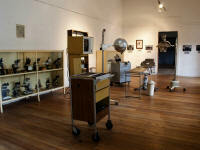 More information on Museums in Ecuador will follow as we discover more. 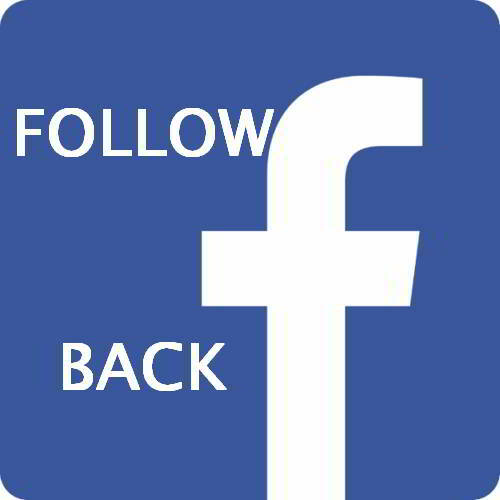 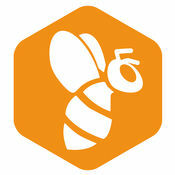 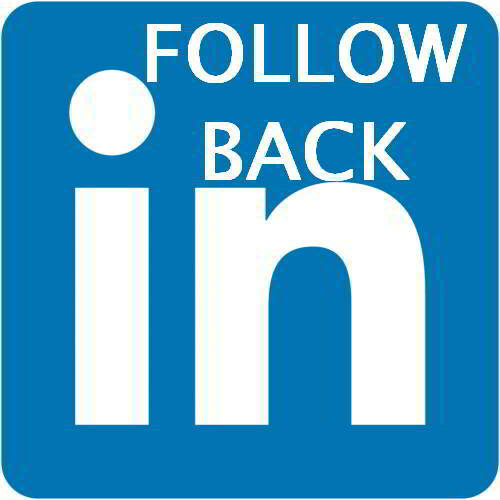 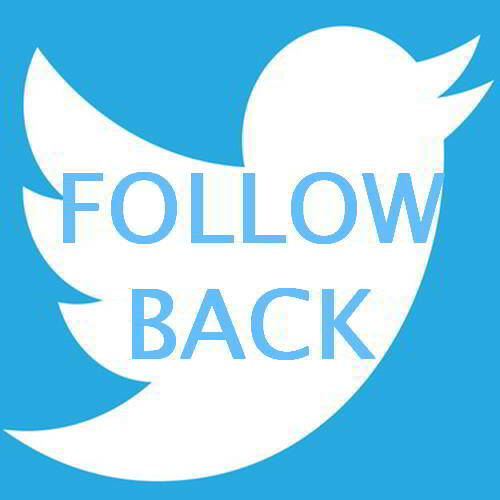 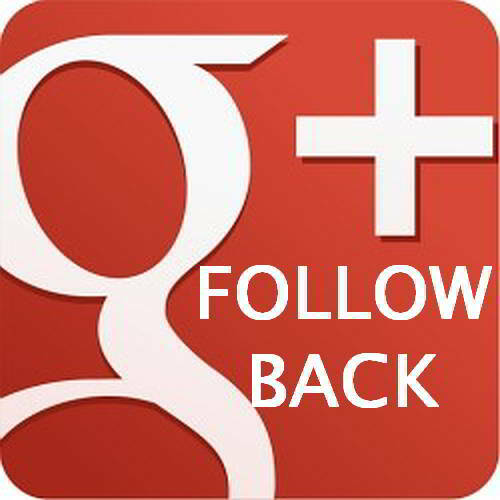 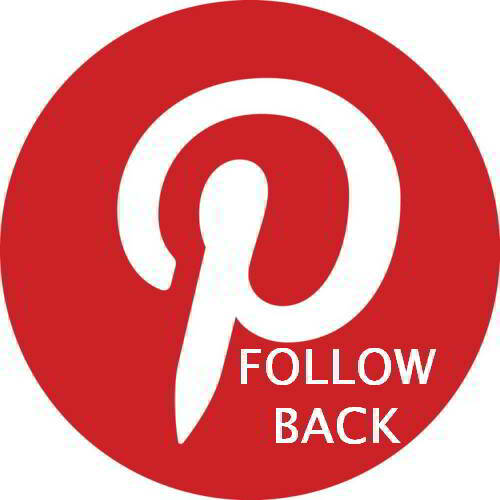 If you enjoyed this page, please give us a like or google+, so that more people can find it. 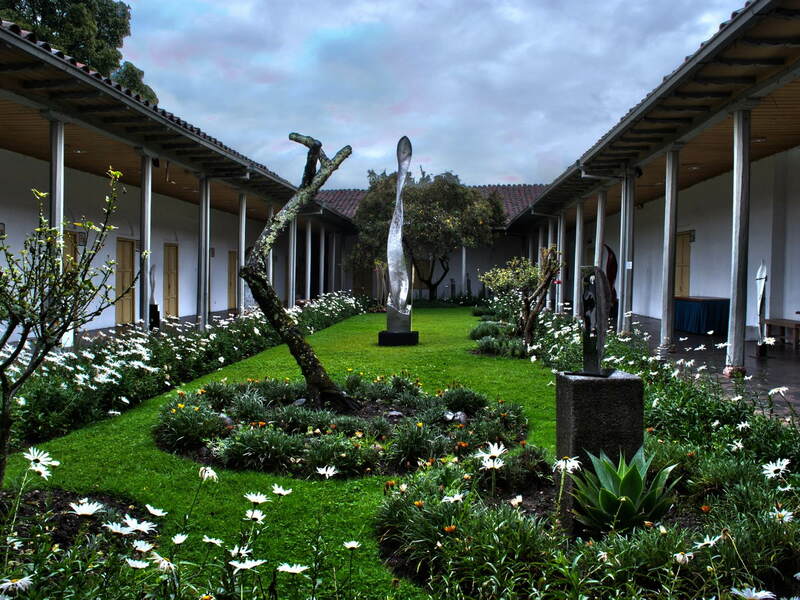 While museums give you an impression of the fabulous history of Ecuador and its many art expressions, one should not forget that there still is an incredible amount of living art in Ecuador, which you should not forget to visit. 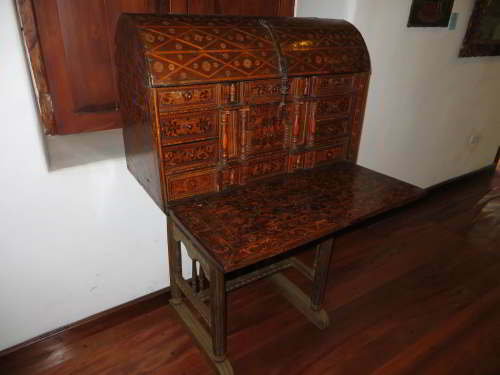 Read more: Traditional Art Markets in Ecuador.